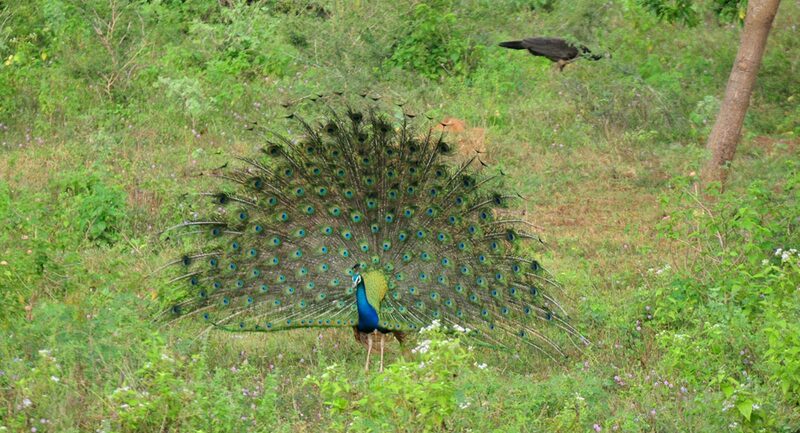 When we bought this 14 acre land in 2008, we named it ‘Monaratenna’ after the flocks of peacocks (monaras) that strutted across it. 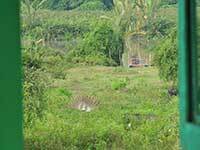 They are still here, and in larger numbers, as part of the land is reforested and the rest reverted to a dry zone farm. 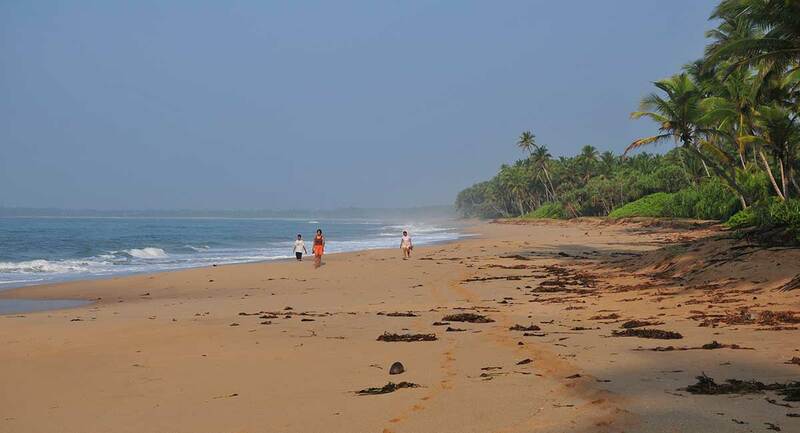 The Urubokka Oya, winds it way down to the sea past our land. 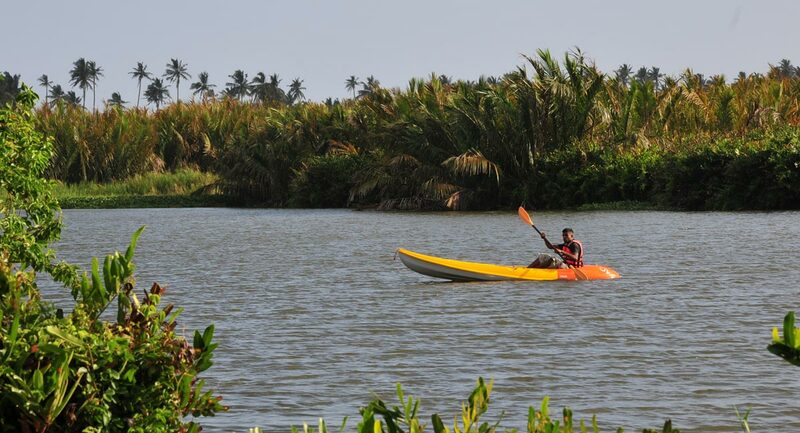 The estuary (modara) – which the village is named after – is a few minutes by boat or foot. 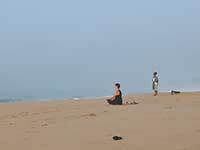 The beach is broad and filled with character, with not a single tourist around. It’s a lovely place to start and end your day. 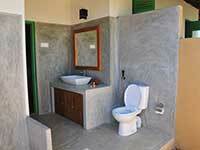 We have made a special effort to ‘touch gently’ when building our lodges. 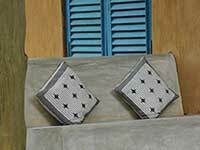 We have experimented with a range of resource efficient and environmentally friendly material and methods. 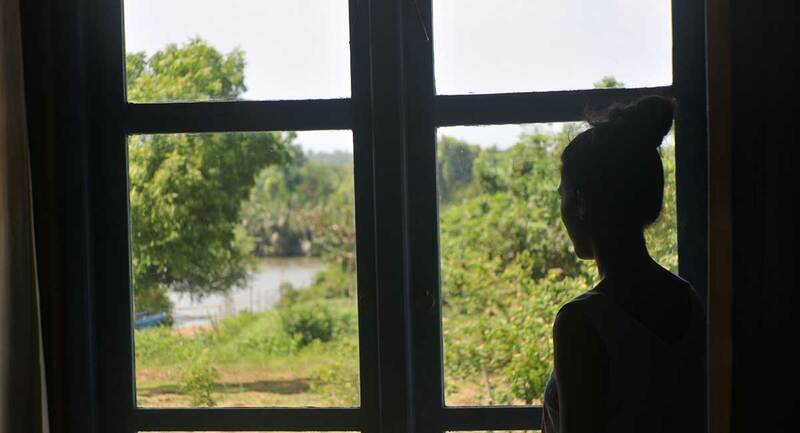 Our biggest success is being totally self-sufficient in electricity needs via solar power. We have gone over our target and now export to the main grid. “ What a delightful place. We came not knowing what to expect and left wishing we could stay longer. 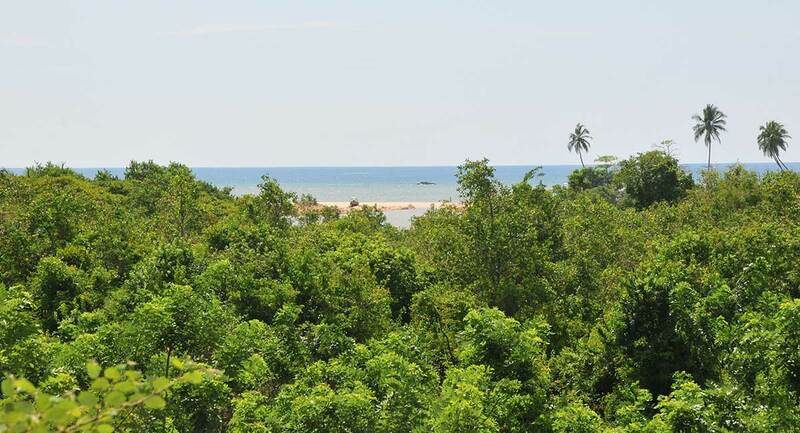 Anyone who takes such an enlightened and responsible attitude to bringing together tourism and protection of the environment should be held up as a model to which all tourist resorts should aspire. Back of Beyond does this to perfection. 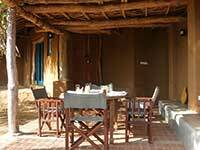 That aside, the bird life is terrific (sit still in the shade and it will come to you), the bungalows are great and the food as good as anywhere we have had on the island. 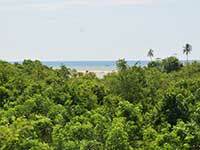 Reforestation is continuing very well with over one hundred dry zone trees planted to date. 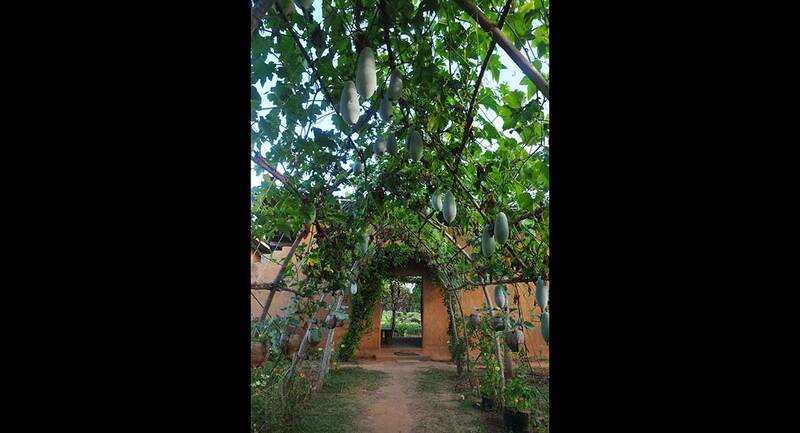 Our orchard with nearly over 40 varieties is also now starting to bear fruit , and we provide most of the fruits and vegetables we serve our guests.We have also started a butterfly garden, planting hand-picked host and nectar plants, creating a flower, fragrance and joy filled patches around the land. .
We have now expanded the facilities with new accommodation units, An Ayurvedic Wellness Centre, a yoga hall, a sea-sand restaurant, and a brand new swimming pool thus making it an ideal retreat for yoga groups , meditation retreats, corporate training functions or for large family get-togethers. 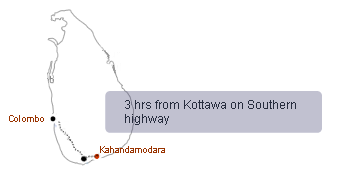 1 hr 15 min on the Kottawa - Matara Expressway (E1), another 1 hr 30 min from Matara to Kahandamodara on a perfect surface, and finally 4.0 km on well-maintained village roads. The last 200m to our property can sometimes be challenging after the rains. 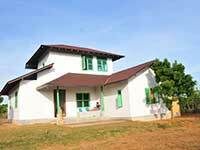 One 4-bedroom bungalow, two 2-bedroom villas and one 1-bedroom cottage, have 9 rooms for around 25 adults. 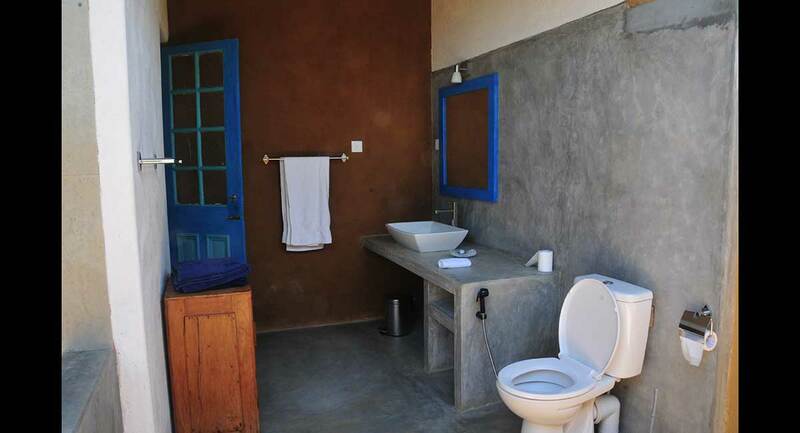 All rooms have attached toilets and hot and cold water. Separate driver’s quarters are available at a nominal charge. 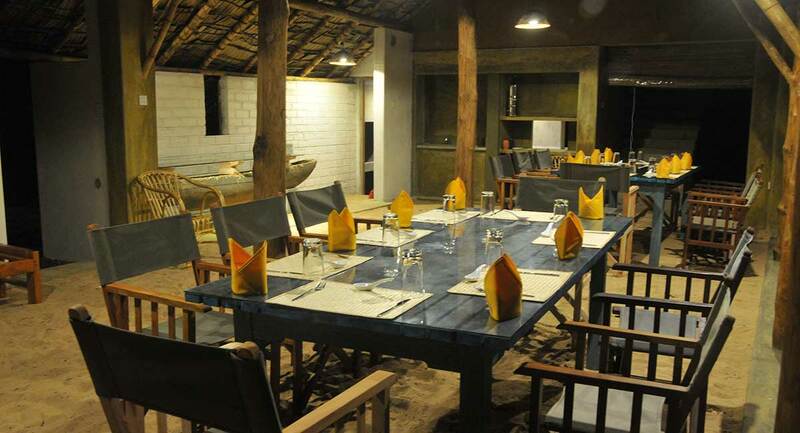 Custom prepared Sri Lankan and western meals will be served in the dining areas. Tea, coffee and drinking water is provided free of charge. Alcohol will not be provided in our premises but guests have the liberty to bring in their own. 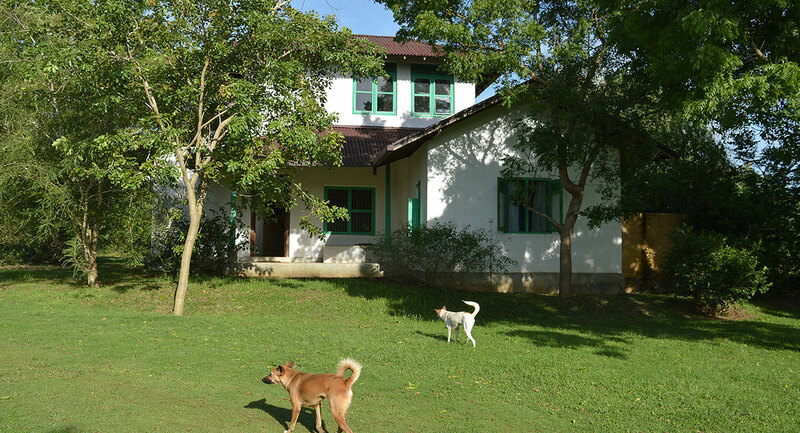 Bird watching, nature rambles, helping out in the farm, learning to cook with Nelson and Mahesh, swimming in the pool, yoga in our custom built hall. 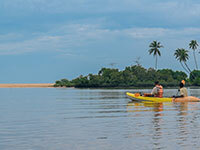 Kayaking and boating with Wasantha in the Urubokka Oya to the estuary. 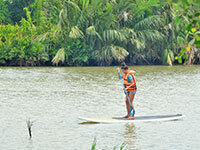 Cycling, lagoon baths, beach walks, coastal trekking in the neighborhood. 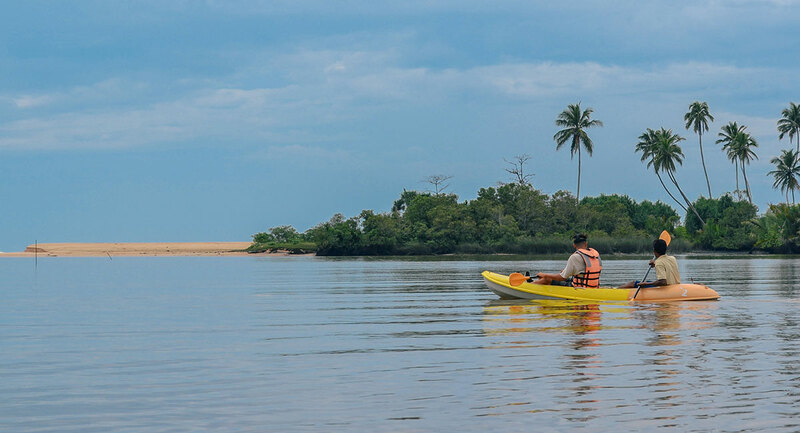 Excursions to the nature reserves of Kalametiya, Rekawa and Ussangoda, Wildlife National Parks of Bundala and further down to Yala. 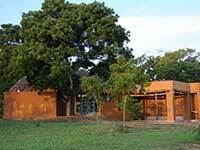 Historical temples and archeological site around Rambewa, Mulkirigala, Tissamaharamaya, etc. 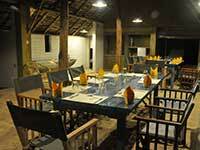 - In-house cook and Sri Lankan and western menu options. 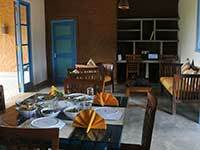 - We do not serve alcohol but permit our guests to consume their own at the premises. 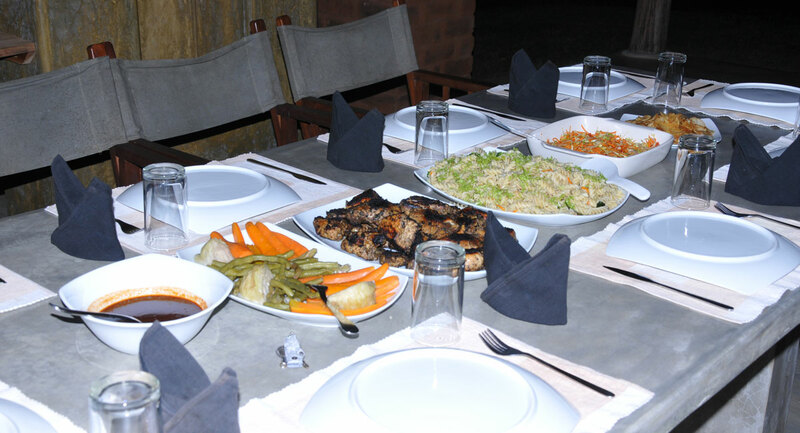 - We predominantly serve organic fruits and vegetables from our farm. Please let us know early if you prefer other vegetables. 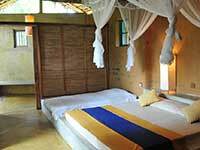 - As with other lodges, rooms do not have electric air conditioning. 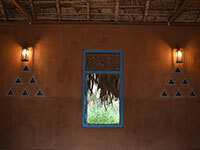 However, our exclusive reliance on solar power has enabled us to test air conditioning in the Debara Villa. 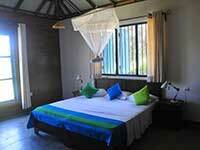 - You are on your honeymoon – we will make it extra special! 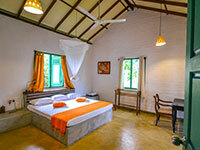 This bungalow and cottage are a pleasure to the senses. 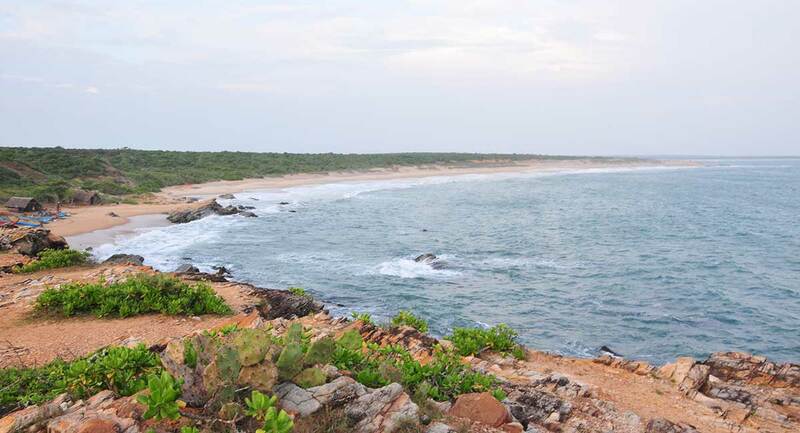 Wide-open spaces, the sound of the ocean, the unwavering cool breeze constantly flowing around you. Birds galore, peacocks at your doorstep. 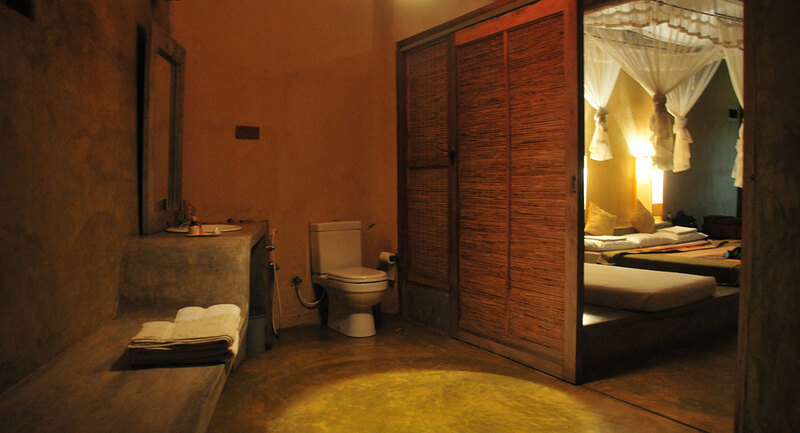 Even the bathrooms are a pleasure to be in, with the open air showers and nature themes. Here there is no commercial product, no radio, TV, music etc. 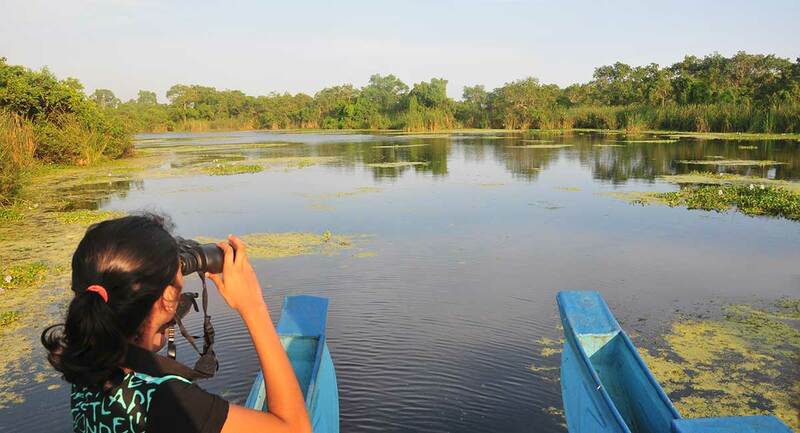 What you get is the sound of nature at its best, without man’s interference. 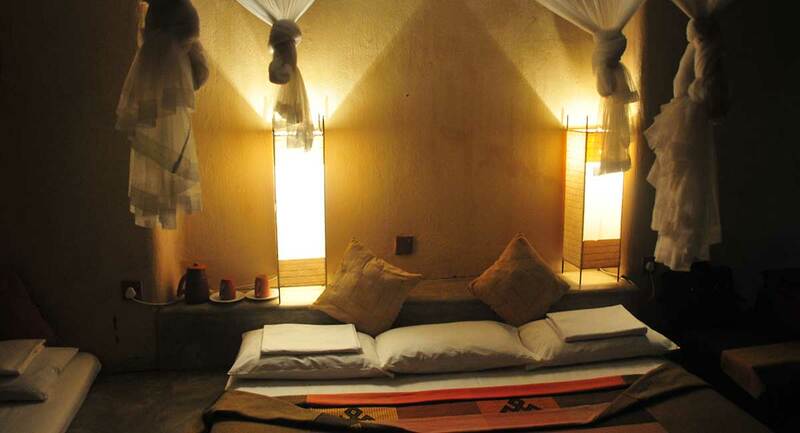 You get a magical peacefulness which you cannot get from any fancy hotel. 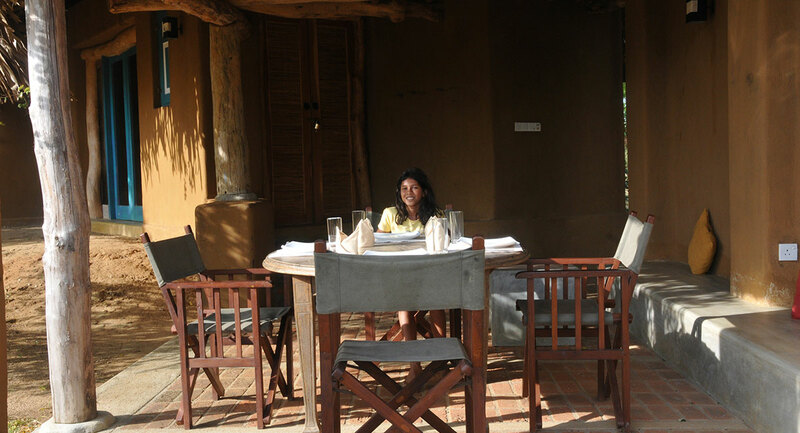 We were amazed by the delightful meals at Kahandamodara. 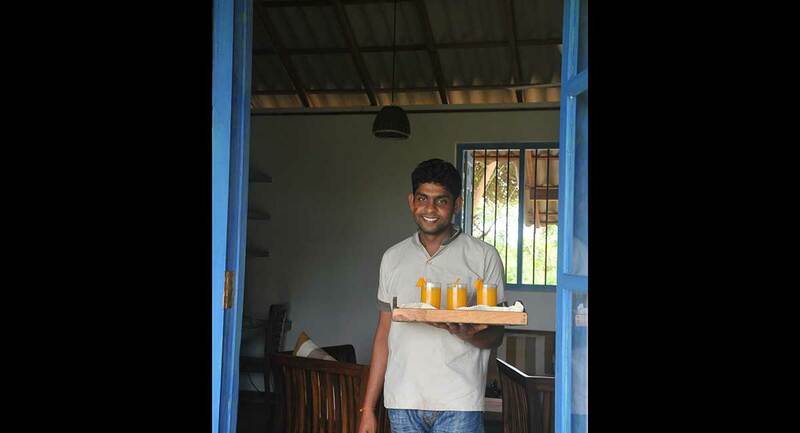 Nelson is a well chosen asset, and Mahesh, ever caring but shy and humble at the same time. 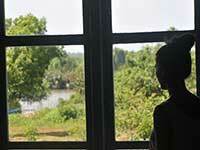 Back of Beyond Kahandamodar will always be a special, incomparable place, forever in my heart. 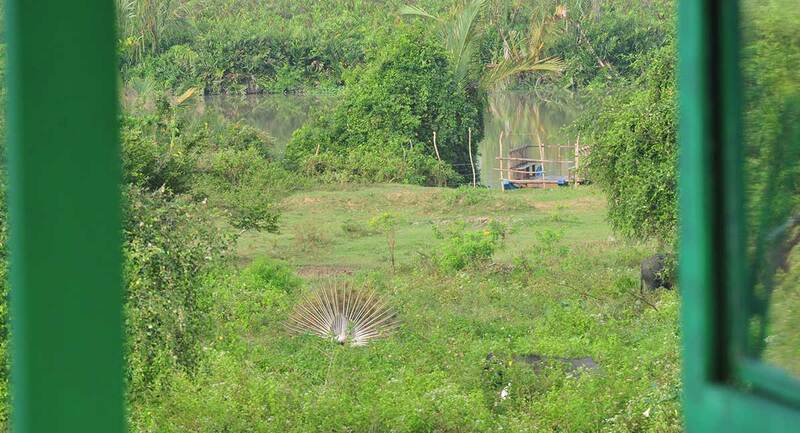 “ Warm winds, lagoon bathing, waking up to the sounds of peacocks! Heaven is here – with smiling faces, family and friends. 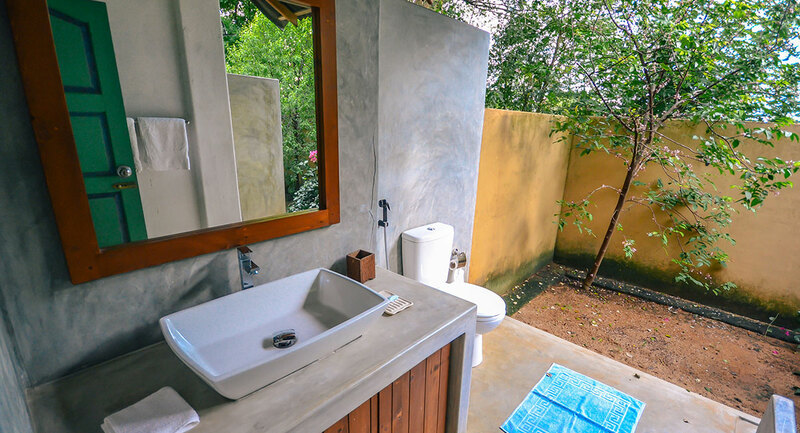 Our bungalow, cottage and villas are located to maximise interaction with the outdoors while maintaining individual privacy. 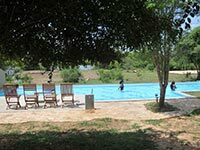 Set by a green lawn that rolls down to the scrub and pasture Siyambla Bungalow and Kohomba Cottage are ideal for families and those who love to watch peacocks strutting around open lawns. 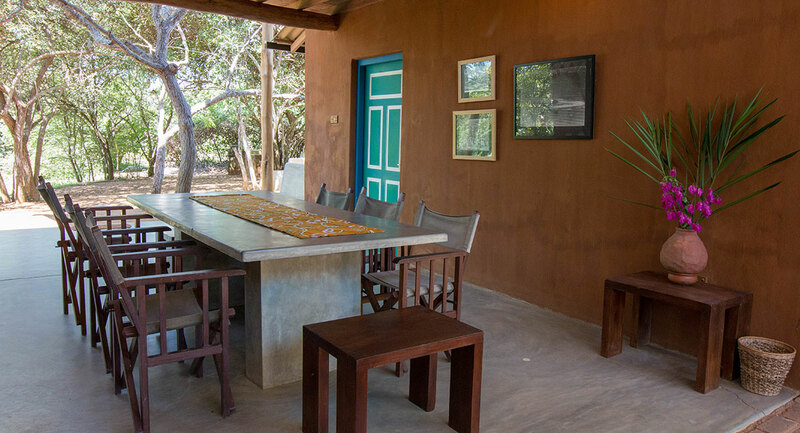 Both the Bungalow and Cottage have their own dinning space, but you are welcome to use the sea-sand restaurant by the swimming pool and yoga hall. 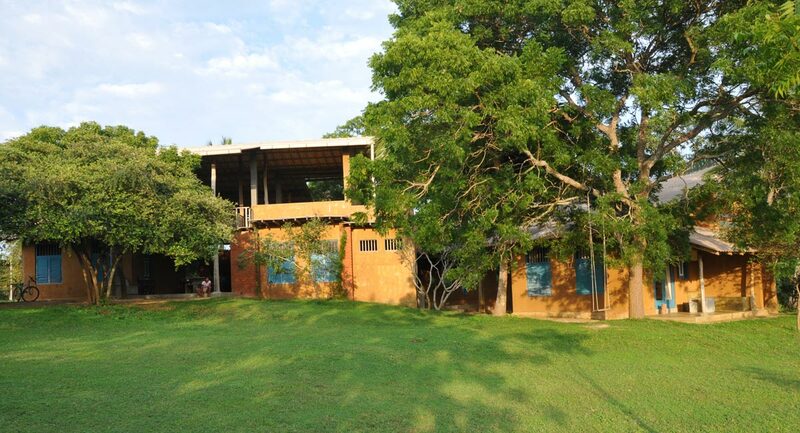 Named after the Siyambala tree that shades the entrance, this open format bungalow has four bedrooms, areas for relaxing and dinning at two levels.. Siyambala can accommodate 8 adults and 3 children and is given out as a single unit. 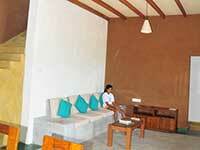 The large open spaces are specially designed with families and friends in mind. As with our other bungalows, we have added a pantry with a fridge which is particularly useful for families with young children. 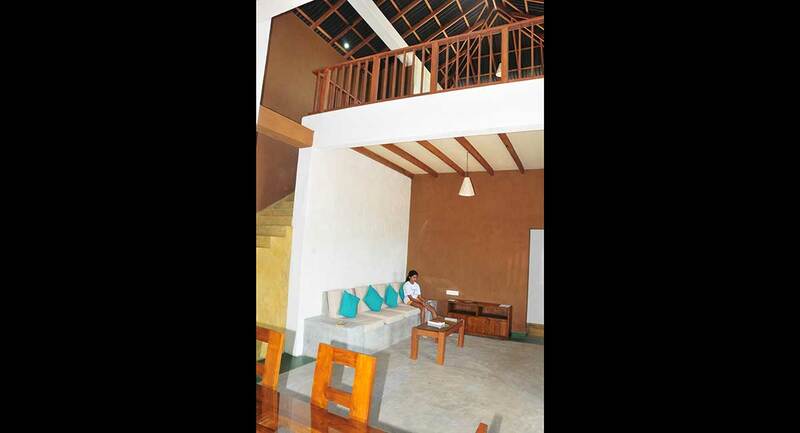 The four bedrooms vary in character. 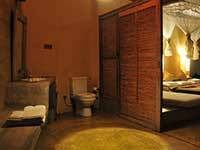 Two secure rooms by the dining area are ideal for kiddies and grandparents. 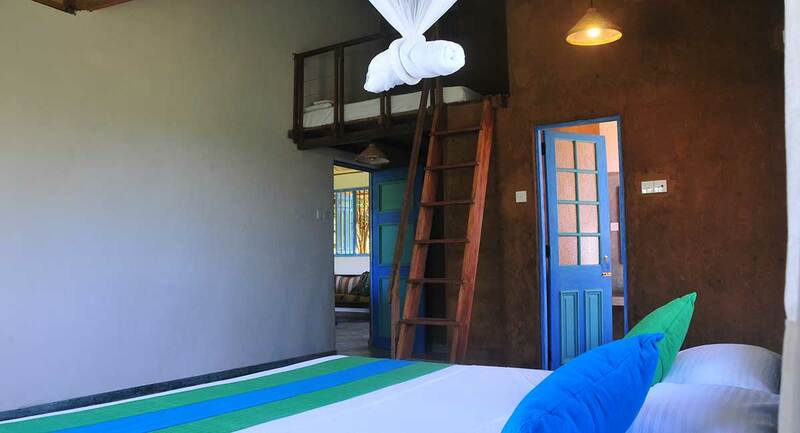 The up stair room with the stars coming in, is almost a honeymoon space, or for dreaming teenagers..the room down the corridor is almost self sufficient with a little verandah and extra sleeping in the attic. 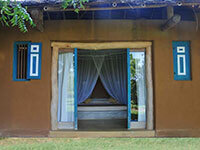 We had a lot of fun building this cottage and it seems the vibes have been retained! 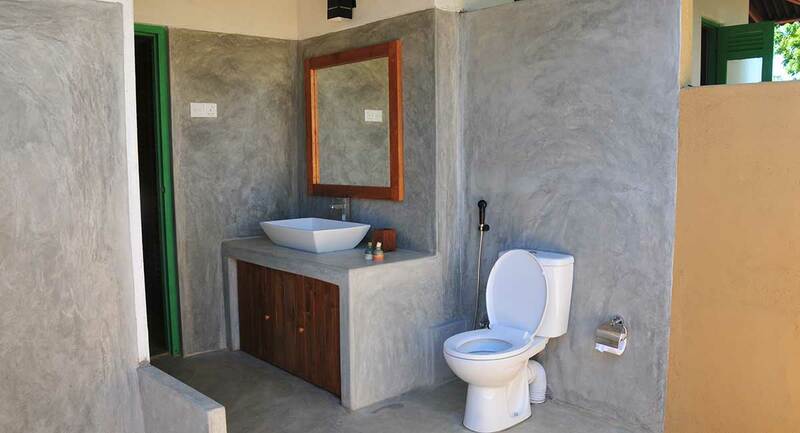 The unit consists of one large bedroom, open format dining and living space, along with a rooftop area with a fabulous view of the surroundings . 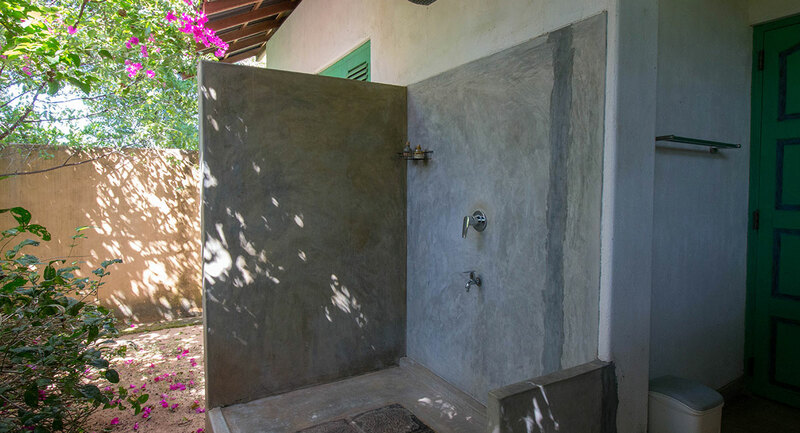 The unique feature of the Kohomba cottage is the plunge pool we have experimented with…a new dimension to our pre-occupation with fun bathing spaces. 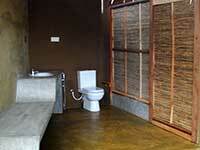 This cottage is set away from the Siyambala bungalow to maintain privacy of both units. Ideal for relaxed couples, and a safe space for small families. 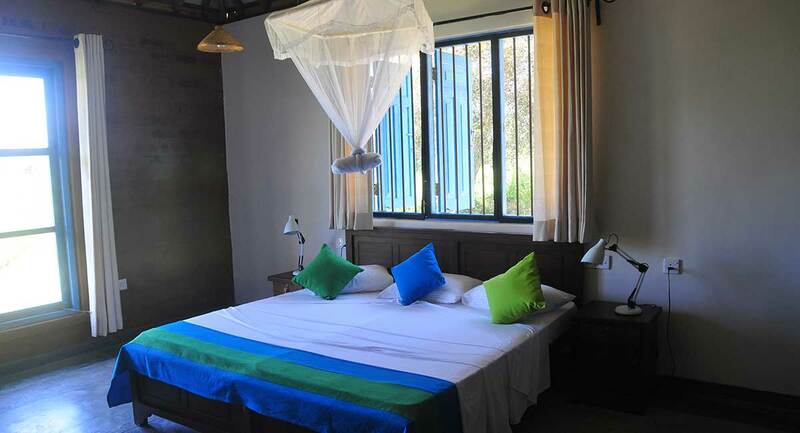 To meet the needs of longer stay guests, we have located two spacious self contained villas where we are creating our butterfly garden. 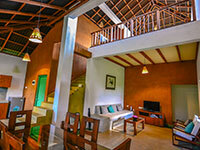 The garden around the Villas go down to the swimming pool and sea sand filled restaurant. 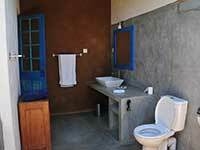 Both villas have a fully equipped pantry/kitchenette, where you can prepare some breakfast or tea. 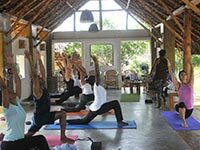 Meals can be served at the villa or you are welcome to use the sea-sand restaurant by the swimming pool and yoga hall. 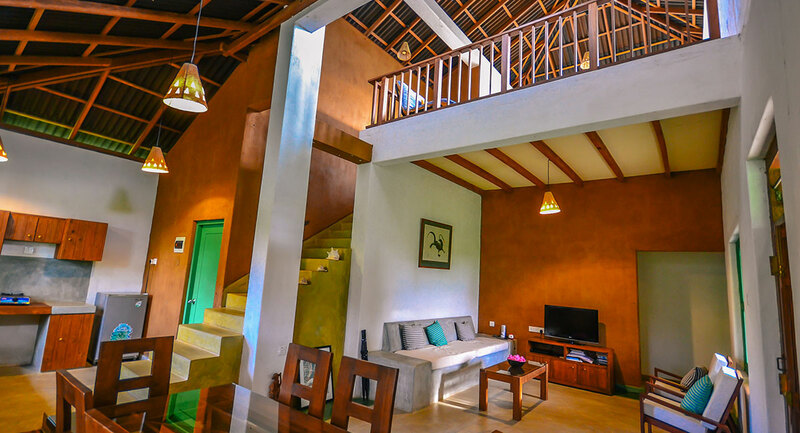 This villas has two bedrooms(one double and one triple),a living space, dining room and kitchenette on the ground floor, and a lovely upper level for relaxation, work or as an extra sleeping space. 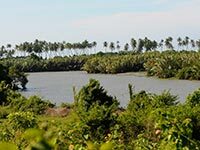 On to one side, the estuary can been seen through the coconut trees, and on to the other the Urubokka Oya flowing down to the sea. But the real treat is to star gaze on a clear night. 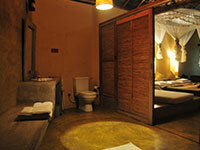 Both bedrooms have attached bathrooms with hot water showers, and are mosquito –proofed. 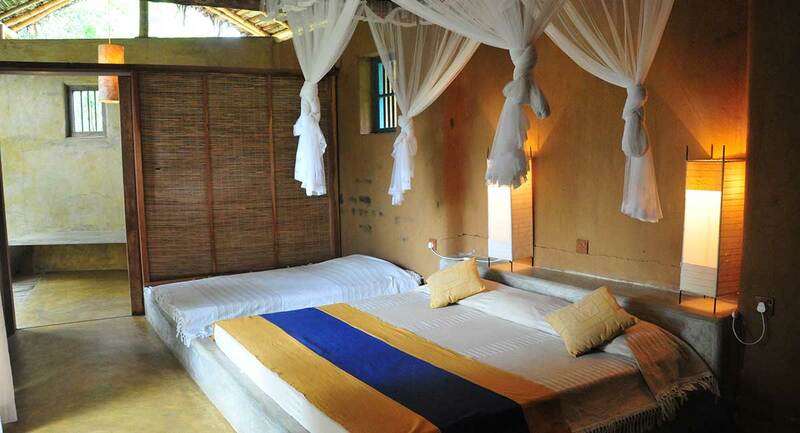 All beds are provided with mosquito nets. 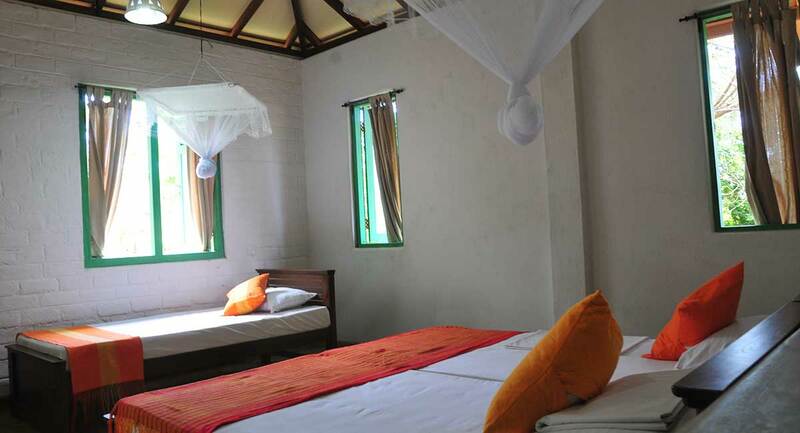 The larger of the two villas, Debara sleeps upto 7 adults in two spacious rooms and loft. 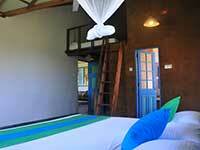 The loft is a absolute favourite with children! . 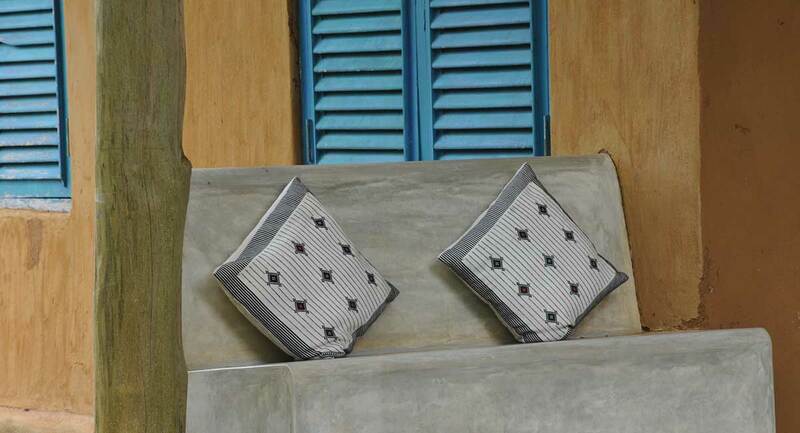 Keeping in mind the needs of our elderly guests, we have added air conditioning to this cottage. 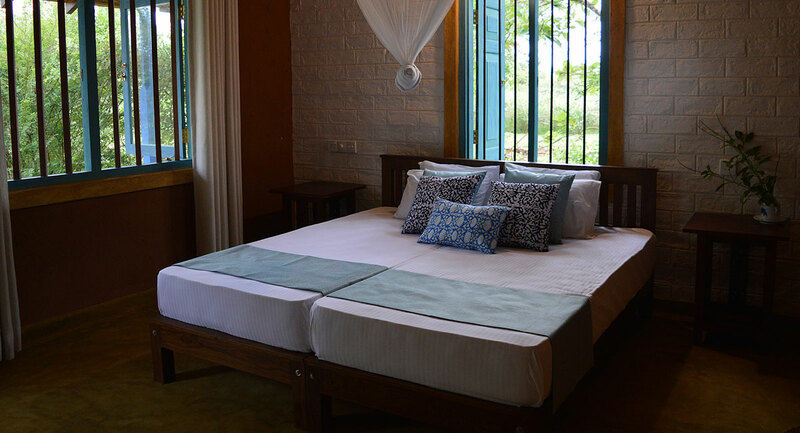 We are thrilled that we can keep all our guests comfortable while not deviating from our environmental policy. It runs totally on solar energy! 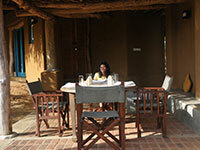 The verandah faces the setting sun and the Urubokka Oya…perfect place for a sun downer. 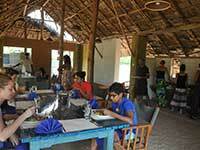 The dining spaces at Kahandamodara compete with the much appreciated cooking! 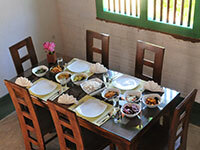 Each bungalow cottage and villa has its own unique dining space. 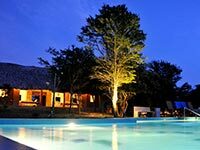 To this we have added, a BBQ space on the open lawn, a sea-sand restaurant and a star-gaze roof top! 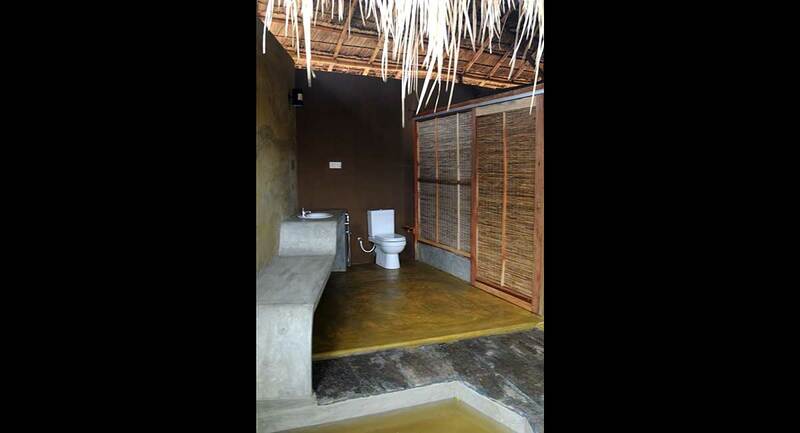 The choice is almost too much, unless you are long stay guests!! 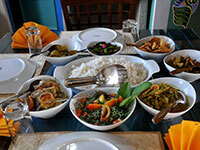 Our cook is an expert at a wide variety of Sri Lankan and western dishes. 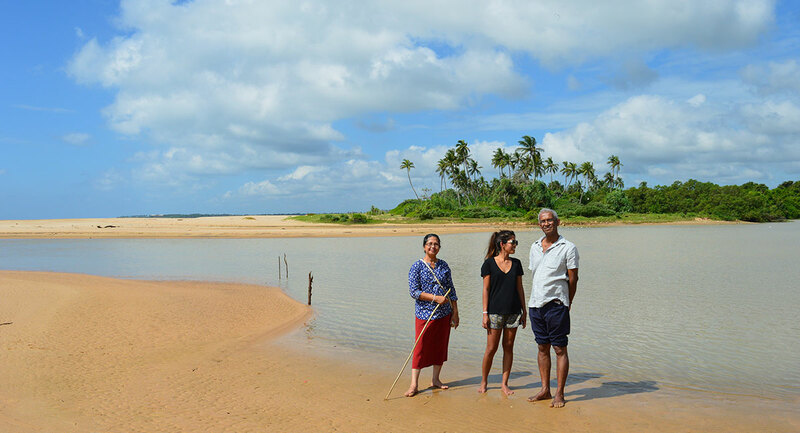 The flavour of the southern coast predominates in the Sri Lankan food, and there is a distinct ‘Sri Lankan touch’ to the western dishes. 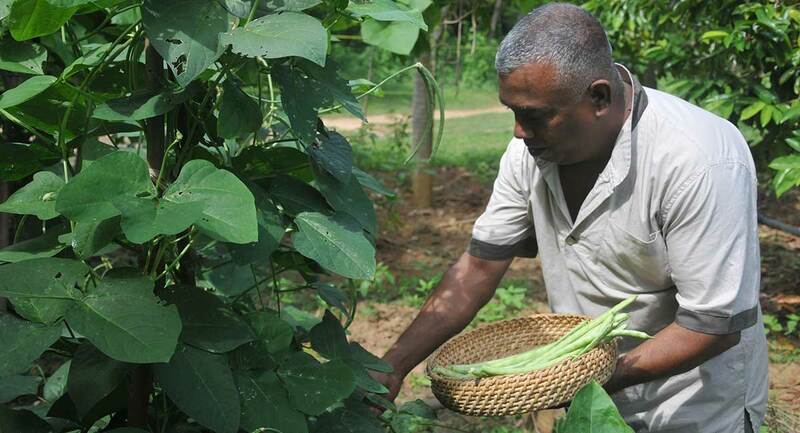 In addition to vegetables and fruits, our home garden will give you a variety of fresh ‘green leaves’ that have now become all but inaccessible to the urban Sri Lankan. If you see Nelson wandering around with a basket, join him and pick your meal! 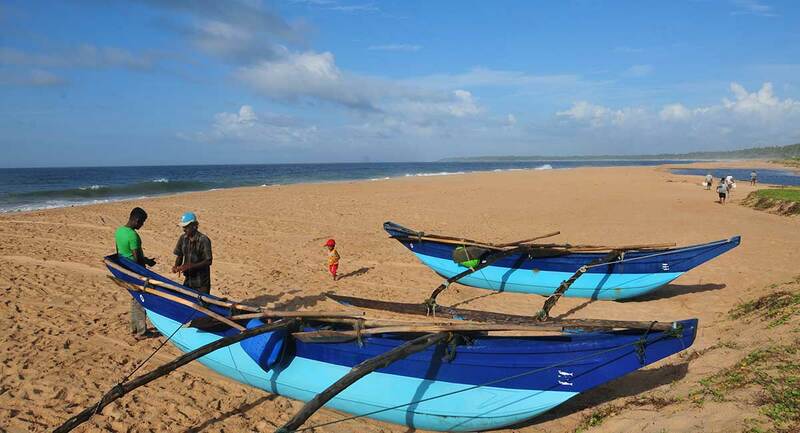 And the seafood often comes directly from the boats that draw up on the beach. 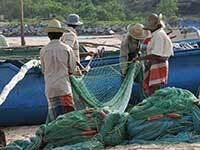 You can join our staff at dawn to peer down at the nets and pick your fish. Reading up on what we see has always added to our pleasure of exploring our island. 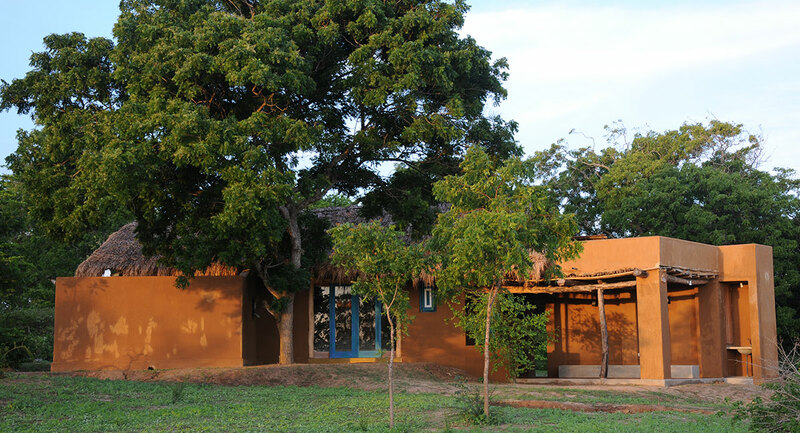 Our library will help you identify the birds and trees around you, and educate you on the wonders of agriculture. 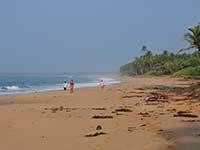 We have a few books on the culture, history and archeology of the southern coast to help you in your explorations. 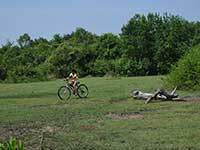 The flat land, network of small roads that take you through the sleepy village and finally down to the beach make walking and cycling the best method of exploring the area. 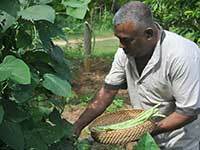 Farming and cooking what you grow! 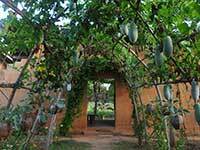 We have just started a spice garden to complement our vegetable garden and orchard. 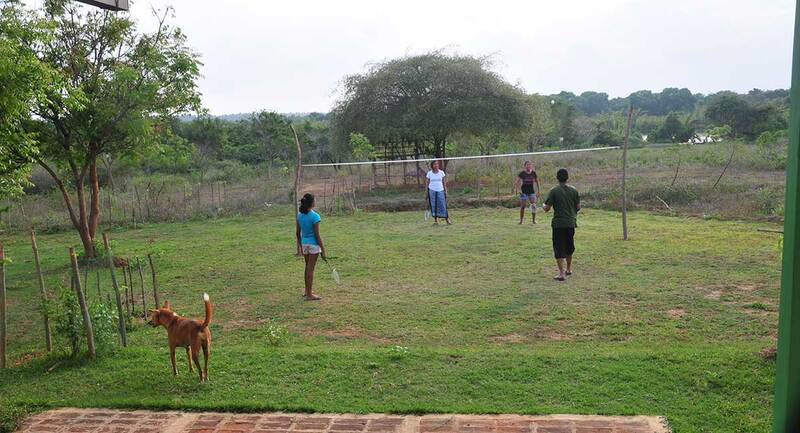 Gardening - or farming if you extend the scale! 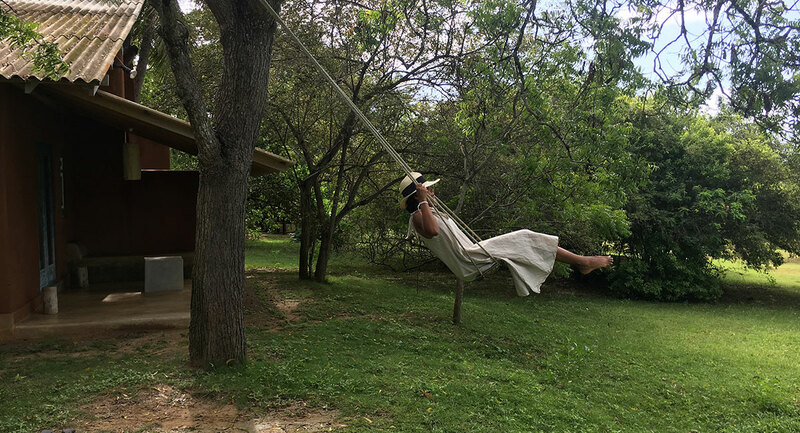 – is one of the most relaxing activities. You can join our staff in their daily farming tasks and extend it to cooking what you helped to harvest! 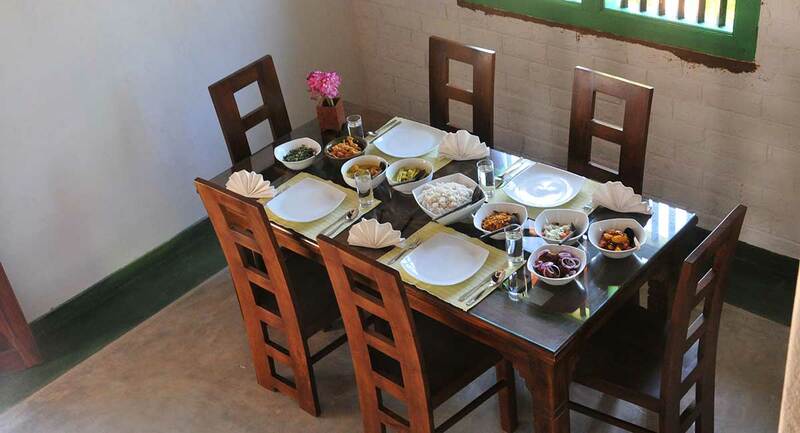 You can join our cook in his kitchen to get an insider view of his delicious secrets and help him prepare your food. 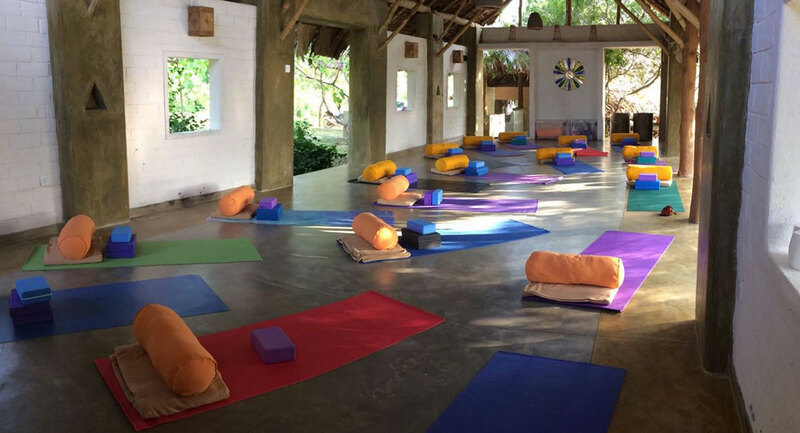 While there are plenty of spaces in our property to induce you to do some Yoga and Prana Yama, we have built a special hall for the serious practitioner. 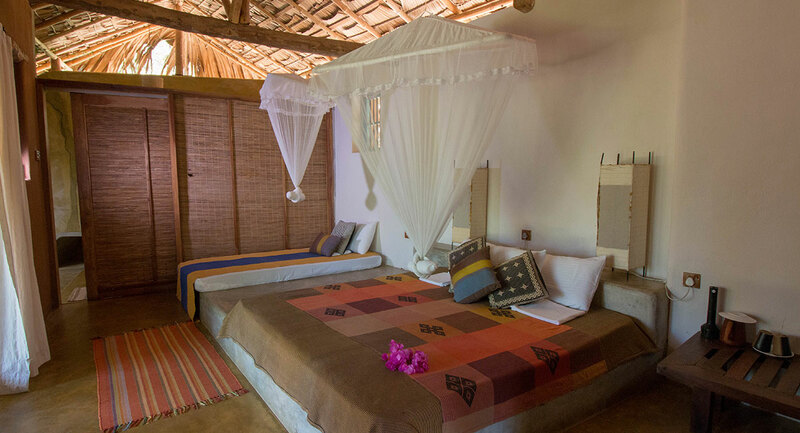 Airy, thatched roof bamboo roof with sufficient wall space has been custom designed for group retreats or for individual practice. 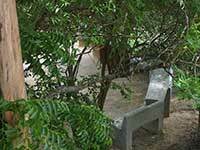 In our fruit garden, we have laid out a series of meditation walkways as well. 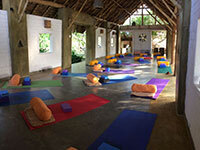 “ Layout, setting, rooms created a perfect setting for a yoga retreat. 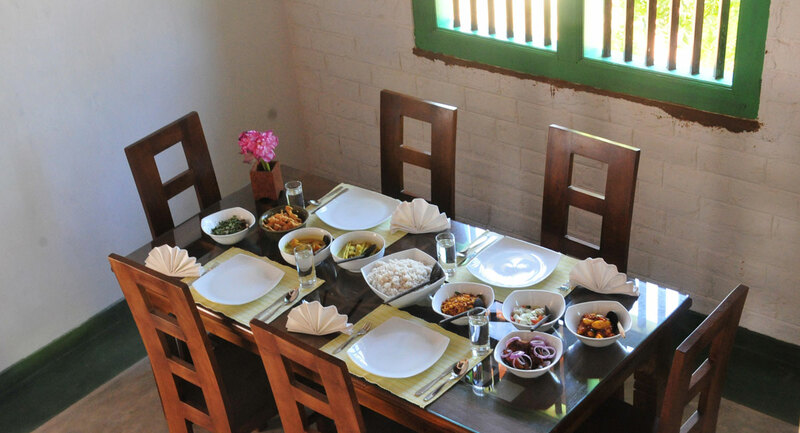 The food was excellent and the local specialty dishes were delicious. The staff was courteous and helpful. The hospitality of the hosts Yohan & Nishka was wonderful. Thank you for joining us on the moonlit walk on the beach. 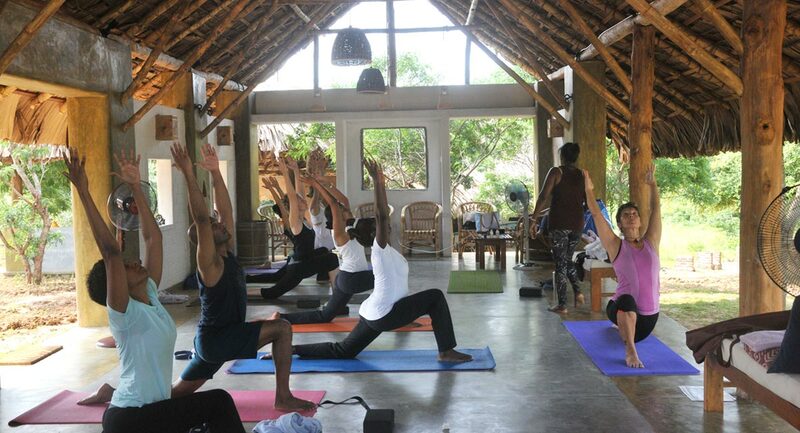 Hope to be back very soon for more yoga and delicious food. 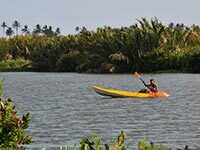 With the Urubokka Oya (river) at the base of the property and its estuary within sight, it is hard to resist the water. 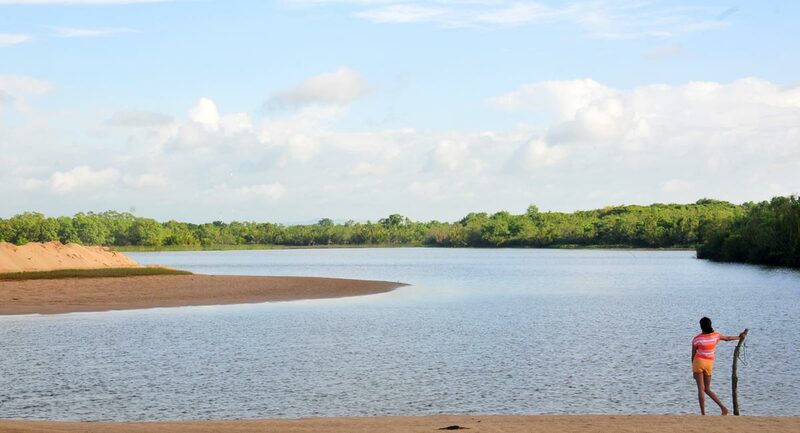 You can choose to laze around in our fresh water swimming pool overlooking the Urubokka Oya or walk down to the beach to the lovely place where the estuary forms a constantly changing pool. 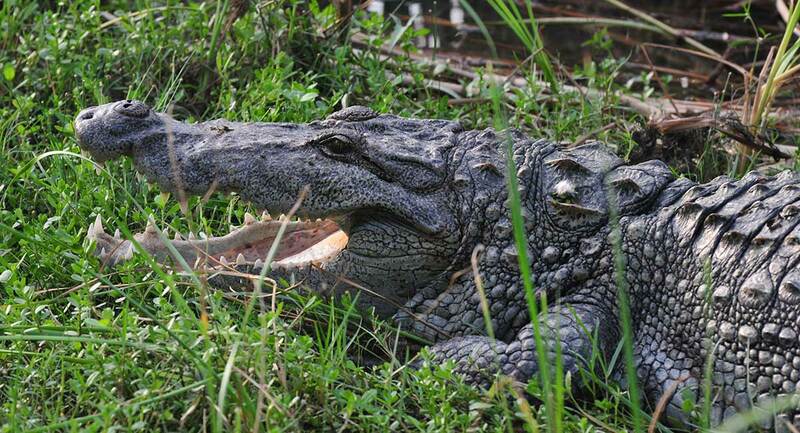 However, please be careful to check the day’s conditions with the locals before jumping into the water. 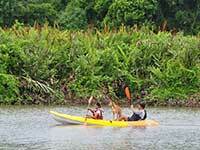 Kayaking in the river is a favourite activity for the energetic. 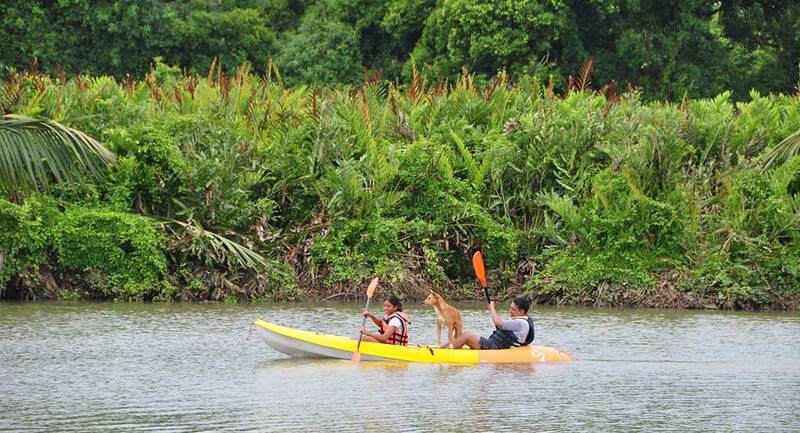 For those who prefer more relaxed enjoyment, our boatman will take you safely along the Oya in our custom built boat. 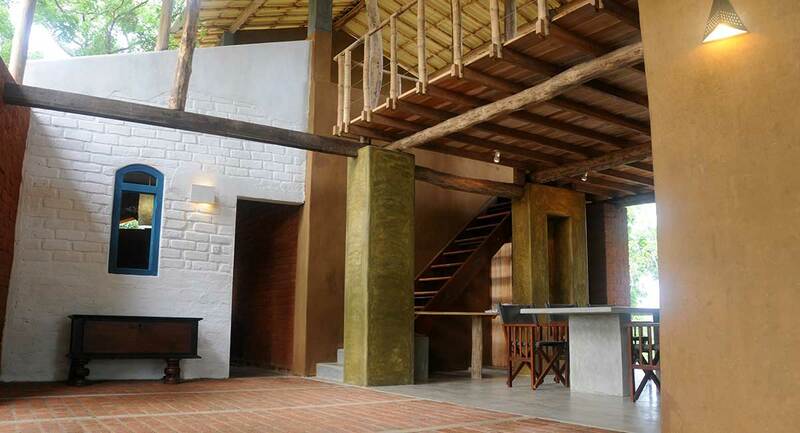 “ Thank you to Nelson, Mahesh and Wasantha for an amazing time at Back of Beyond. 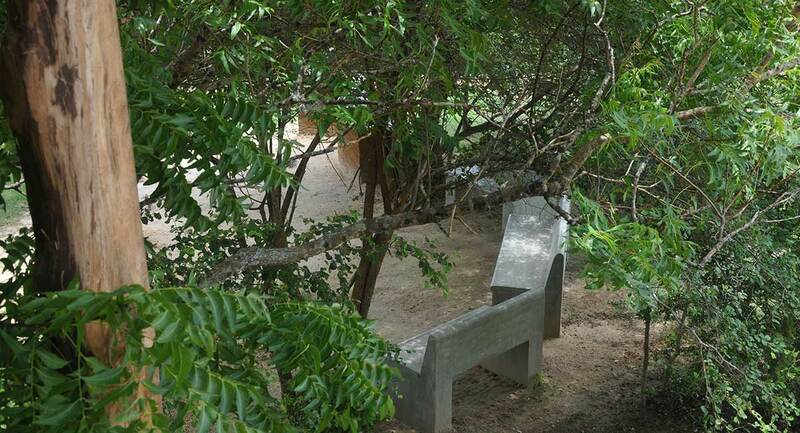 We were able to relax to the sound of peacocks calling in the most amazing surroundings. 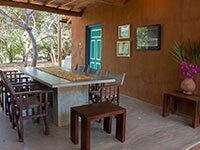 We'll never forget our arrival and being greeted with a refreshing glass of Passion Fruit juice. An introduction to the amazing hospitality from everyone ( a big thank you to Yohan for all the help). We got up early each morning. 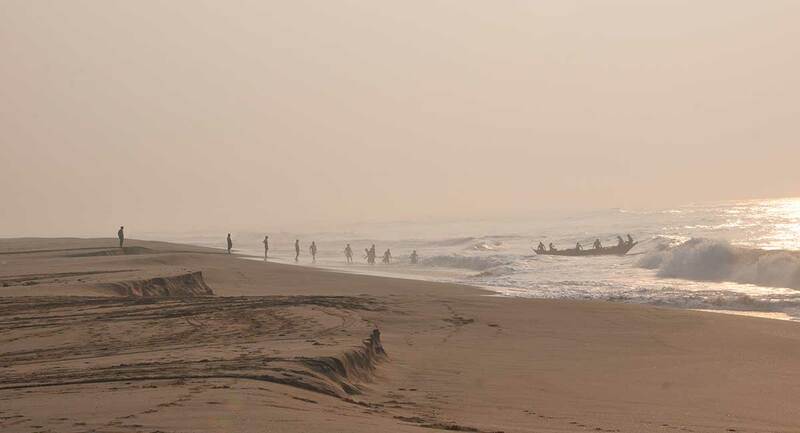 One morning around 6 am we were on the beach and helped the fishermen haul in their nets. 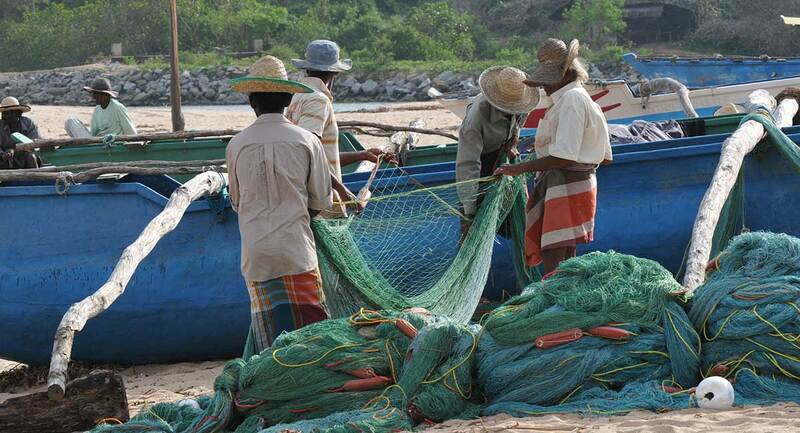 Hard work - they gave us two fish for our troubles. 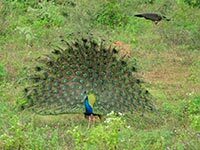 Kalametiya Bird Sanctuary : Less than 30 min drive from MonaraThenna. 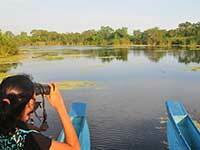 Even if you are not a bird enthusiast, the beautiful lagoon landscape of Kalametiya will captivate you. 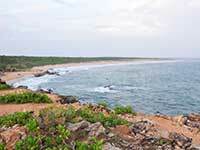 Ussangoda Natural Reserve : Less than 30 min drive from Monara Thenna. 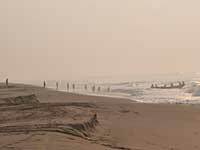 This eerie landscape makes you believe in extraterrestrial visitations. 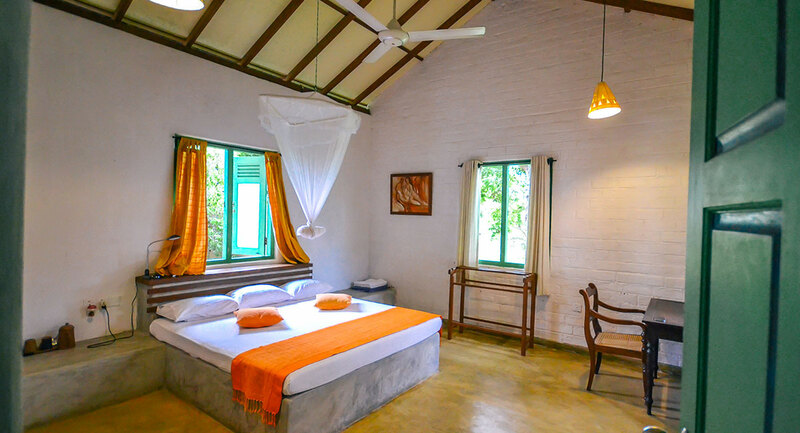 Steeped in legend that goes back to the pre-historic time of King Ravana. 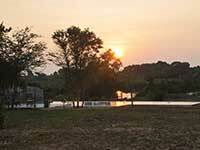 “…the 20 acre site [is associated] miraculous power as no plants grow on it. 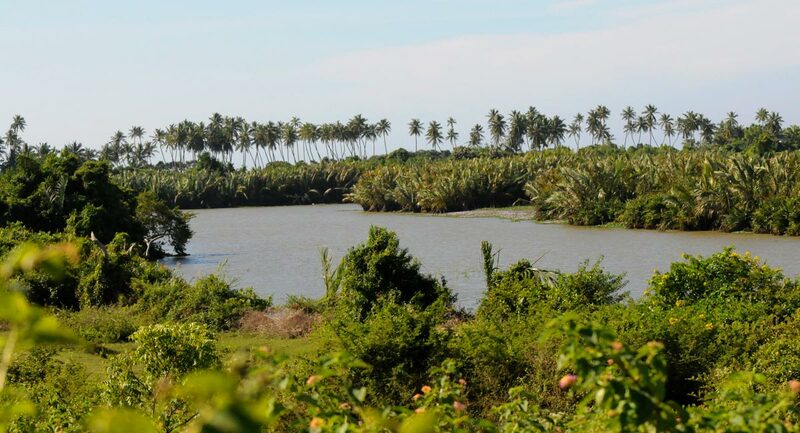 The actual reason may be the rich iron deposits…pre-historic remains were discovered here’ – Heritage of Ruhuna. 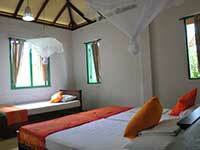 Rekawa : Less than 30 min drive from MonaraThenna. 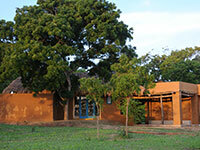 Bundala : Just over one hr. drive from MonaraThenna. 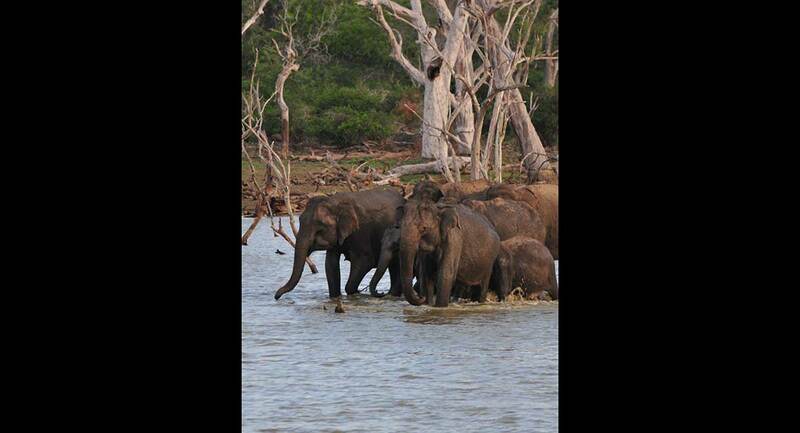 Ruhunu National Park (Yala) : Less than 2 hours of driving will take you to the gate of Yala. 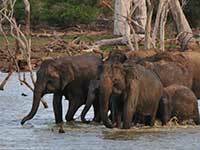 Yala, the first love of seasoned wildlife enthusiasts of Sri Lanka and the most popular pick for anyone wanting a sighting of elephants and leopards. 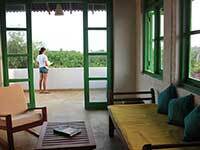 - Handbook for the Ceylon Traveller, Studio Times. Such a history gives the amateur explorer plenty of scope. Within 30 minutes of MonaraThanne lie a range of sites centered around the Buddhist temples of Rambe Viharaya, Veheragodalle, Wanduruppa Theraputtabhya Vihara, Kahandagala Viharaya, Mulkirigala Viharaya, etc. 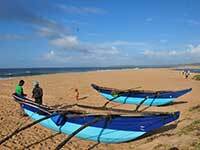 Driving further, in less than 1.5 hours you reach Mahagama the capital of the ancient kingdom. 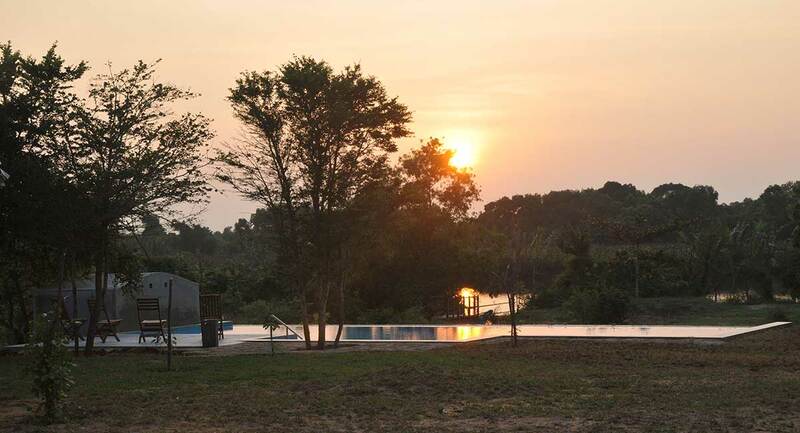 The Akurugoda site where coins from pre-Christian era were found, Yatala with its moated stupa and tiny museum with an excellent collection statues, and the central site – Tissamaharamaya overlooking the massive Tissa tank. Should the exploration bug bite, the scope is endless. 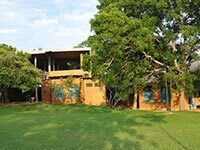 Our library and staff will help you choose the best sites to visit depending on your time and interest, or it will be an endless fascination …as it has become for us. 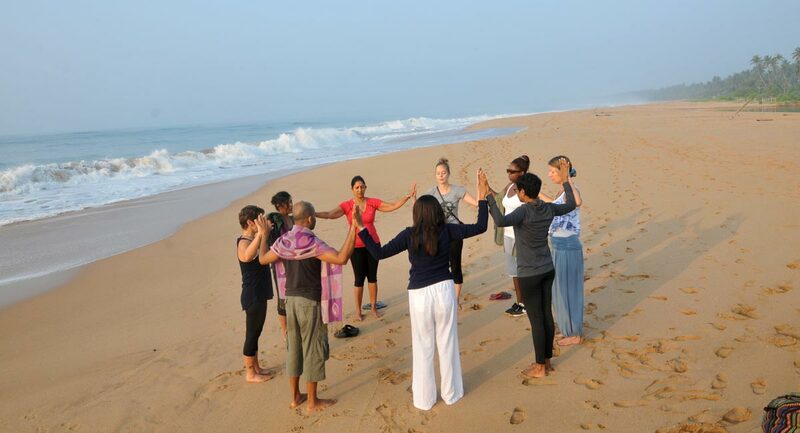 To all the kind and warm BoB team, Thank you for a calm and restful stay. 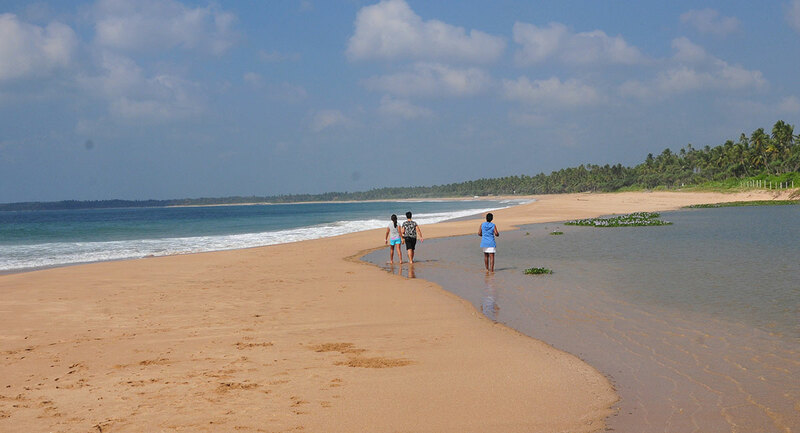 We love the ruralness and nearby, the rugged and beautiful beach which we had to ourselves. We loved the night sky – we have never seen so many stars clearly ! 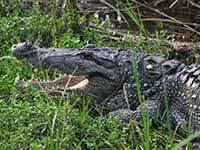 We loved the abundance of wildlife. We loved lazy mornings by the pool listening to the birds. But most of all we loved, loved, loved the delicious food. 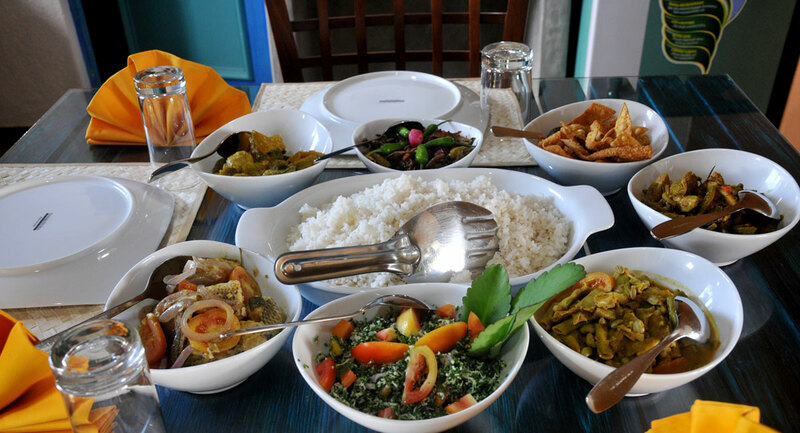 The prawns were incredible, the vegetables cooked to perfection, the breakfast truly scrumptious and best of all – the curd and treacle, which is the best here in the whole of Sri Lanka. Hats off to the chef and the whole BoB team – thank you for a great stay. We hope to see you again some day soon. 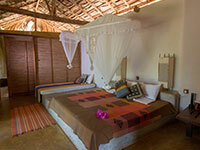 We had a wonderfully relaxing experience in the new Debara villa – great addition ! This is our fourth stay and we will be back ! As always the service was excellent – hats off to the crew for their personalized service. 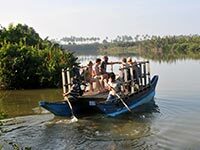 The Kalametiya boat trip was excellent as well – a great way to see the sanctuary and our guide maintained the BoB standard. 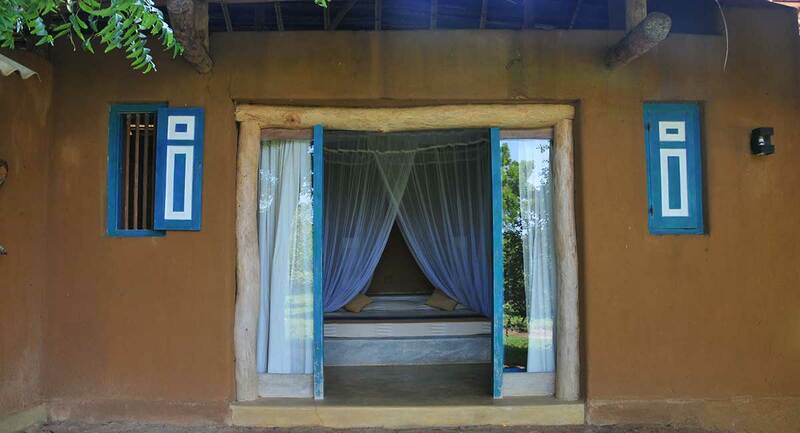 What a superb and relaxing place to stay. Nelson was a fantastic host and catered for our every needs. 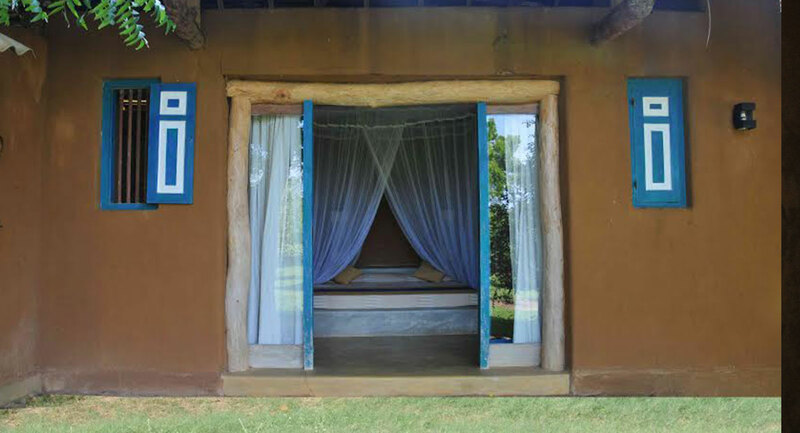 We spent 5 nights here and I would definitely come back. 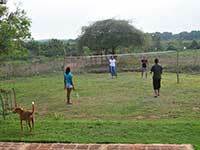 Our three kids loved the huge villa and grounds. We could not get them out of the pool. The gardens and local produce was amazing. Thanks. 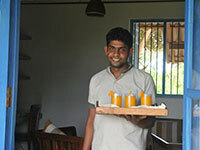 Thank you, thank you, thank you to Yohan and his wonderful staff of Nelson, Mahesh, Indika and Wasantha. 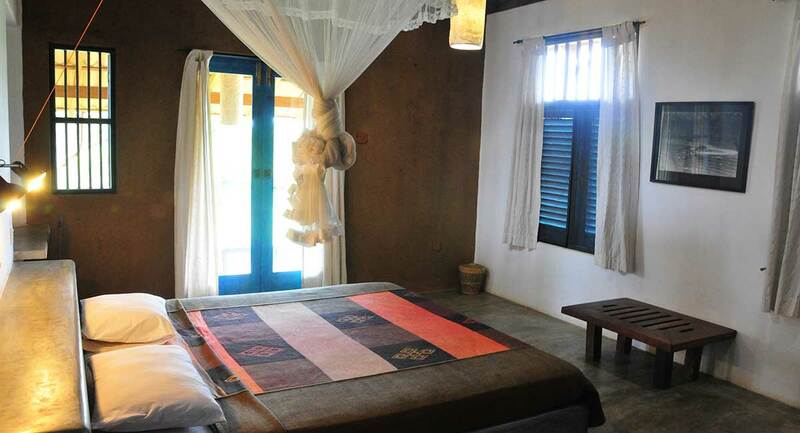 The place is beautiful and so well-run, achieving the perfect balance of simplicity and elegance, rusticity and beauty. 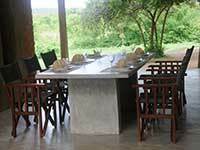 We were very well taken care of, including help with excursions, but most exceptional was the food ! 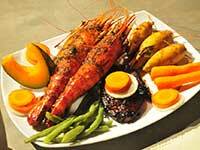 It was delicious, generous and carefully prepared. 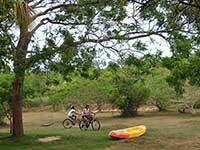 We loved the remote location and surroundings and especially kayaking in the lagoon. We do not want to leave ! 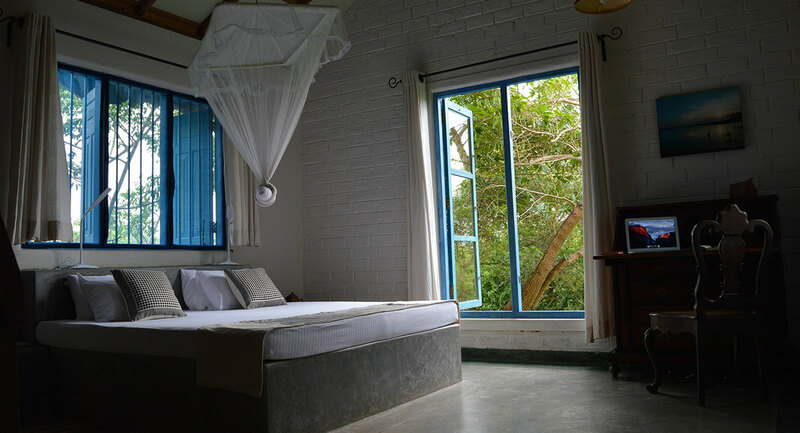 We found this Back of Beyond location on AirBnB because we’ve stayed at Back of Beyond before (in a tree house at Dehigahaela, near Sigiriya), we jumped at the chance to stay again. 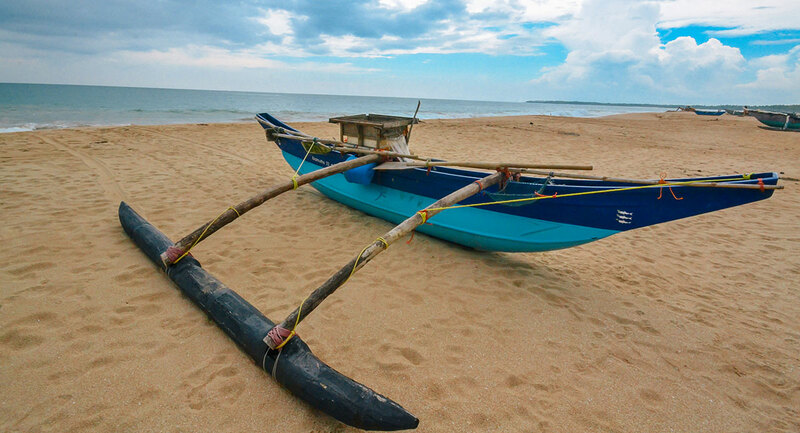 We spent a week relaxing, kayaking, walking on the beach, cycling, swimming, boating in the bird sanctuary, and most of all eating delicious, traditional Sri Lankan food. We loved it! 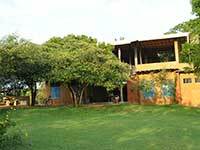 The staff were excellent and the place was utterly peaceful. 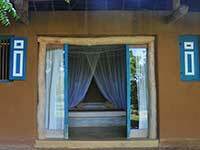 This was our first visit to Kahandamodara although we have stayed at DehiGahaEla several times. 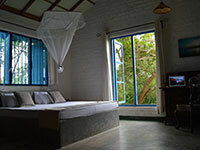 Just like DehiGahaEla, Kahdamodara also has really kept up to the reputation of Back of Beyond.” Truly Wonderful” The facilities, especially the water activities were excellent and I enjoyed the large variety of bird life seen in the property early morning. 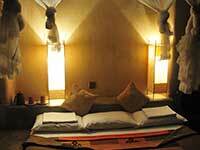 The staff is very friendly and accommodative and helpful. We will certainly visit here again very soon. Wow. Can’t say enough about this place really. Aside from the beautifulsetting, friendly staff, and overall wonder of the place, the attention to detail was the icing on the cake! 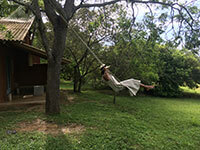 Creative napkin folding, thoughtful architecture and Sri Lanka, library selections, The SWING!..all of these things make this place truly special. Thanks for the generous hospitability. 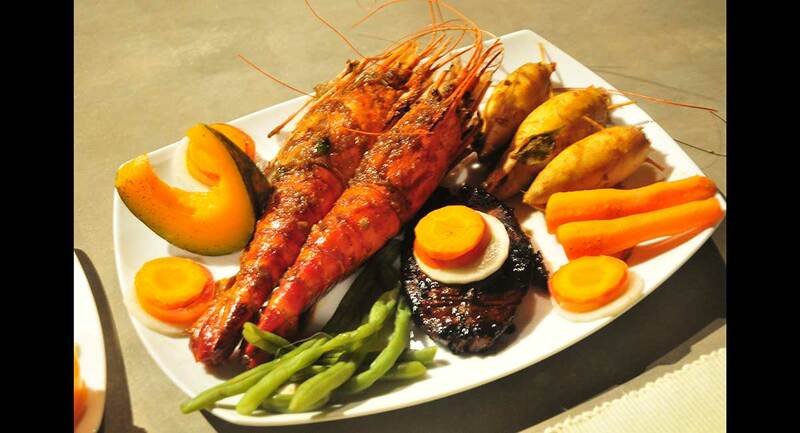 P.S How could I forget to mention the food? Delicious. Exotic …! 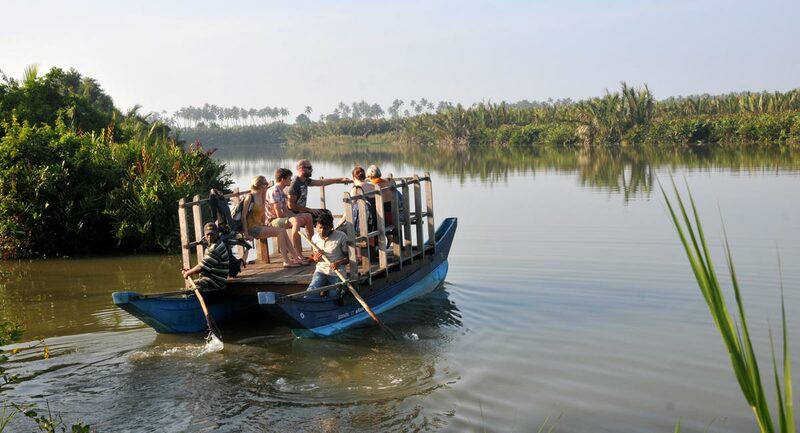 …is the word to describe the magical facets of this masterpiece; yes, the awesome varieties of birds, the lagoon, the boat ride, the forest, the cultivation, the lively houses, the peacocks, the hares, the eagles … the list goes on .. service is sumptuous too ! Nelson, Mahesh, Wasantha are a great ‘take care’ team. 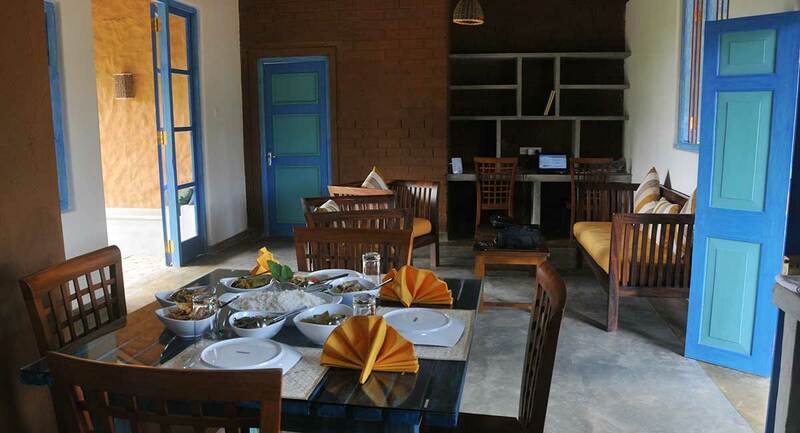 The Southern hospitality blended with modern presentation, the delightful home-cooked meals, ‘kirala’ juice, passion-fruit juice, karankoku, wewmalu, made our stay simply awesome. And Sandy was a sheer source of joy. 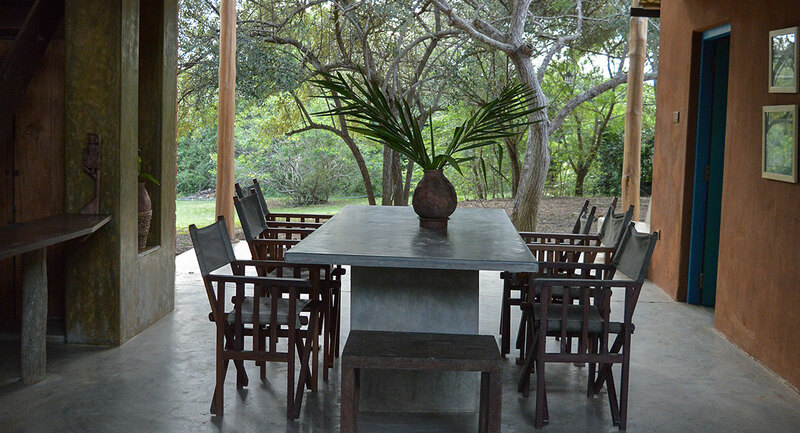 The exclusive structures and gardens with such invaluable species of trees, the bountiful breeze, the balconies, the open-air space, are simply magical. The bicycle ride to sea added to this gem of a place. Thank you so much everyone and good luck on all your ventures. From the moment Kodi picked us up at the airport to the moment (about right now) he picked us up for us to leave, we’ve had an experience that was nothing short of perfect. Nelson and his staff are some of the most attentive and friendly people we’ve met. The food was absolutely amazing! I wish I could take a big bag of rotties with me. 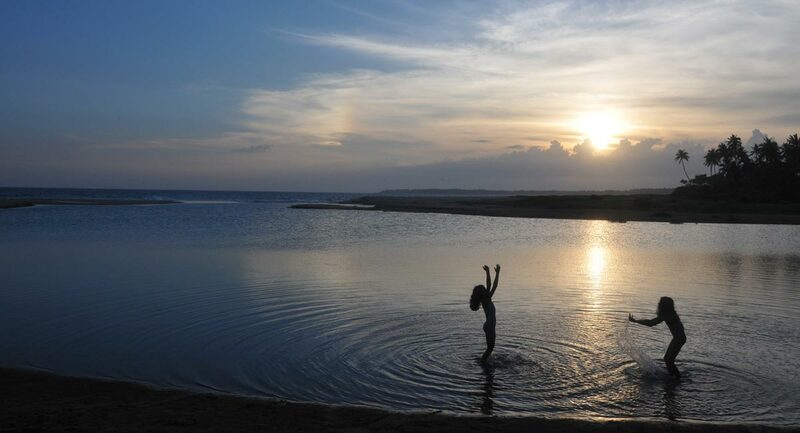 Sri Lanka is beautiful and Back of Beyond is the definitive environment to showcase its beauty. See you this Christmas! It was an excellent long weekend ! The pool was a welcome addition since our last visit. 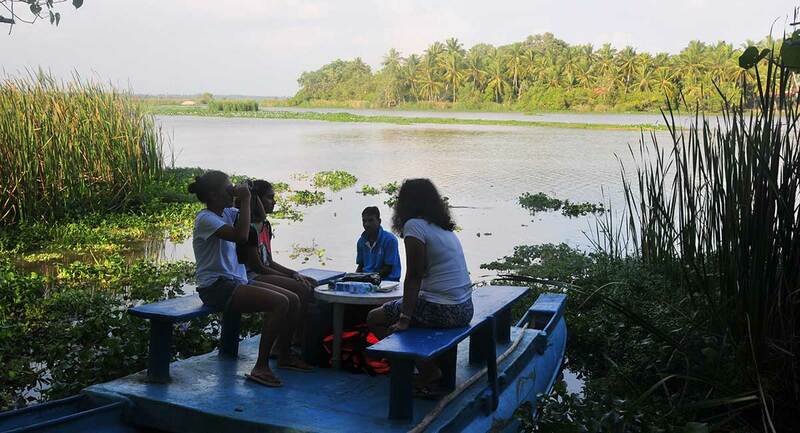 We had an enjoyable boat trip and learned about the indigenous flora. 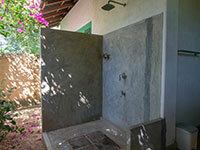 You must be congratulated on your excellent staff – friendly and catered to our every whim. 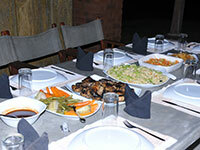 The food was excellent southern cuisine with many varied vegetables and delicious curd and treacle for our desert ! We will definitely be visiting again. It was a great pleasure to visit this amazing place. 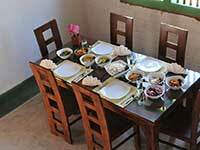 Food was wonderful and most of the vegetables were from the garden which we enjoyed a lot. Also we enjoyed MENERI for the first time in our life, which was a wonderful food. Special thanks to Nelson and his staff for the great service and hospitality. 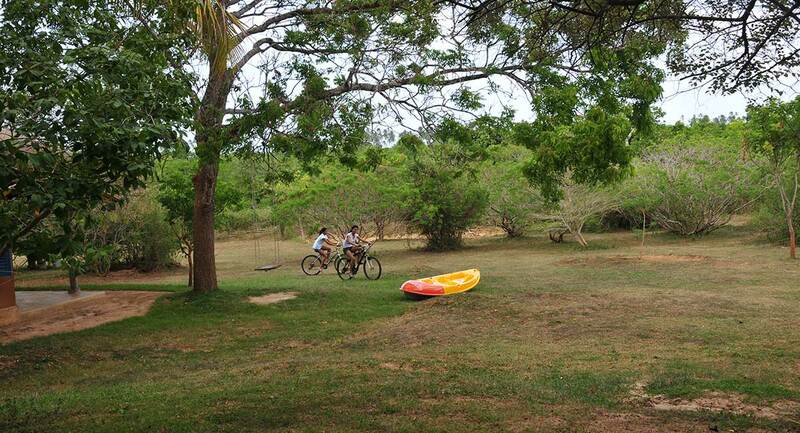 Kids too enjoyed the natural environment and animals and cycling, boat rides and swimming. 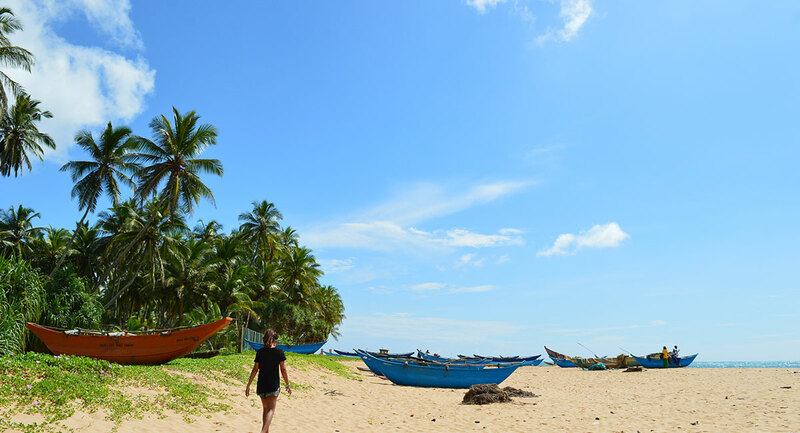 Our experience here was one of the best we have had in Sri Lanka. The resort was beautiful, the beach was stunning. 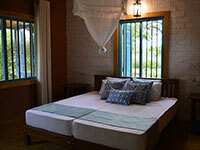 The rooms were extremely comfortable and the overall atmosphere was very serene and relaxing. The pool made the great experience complete. 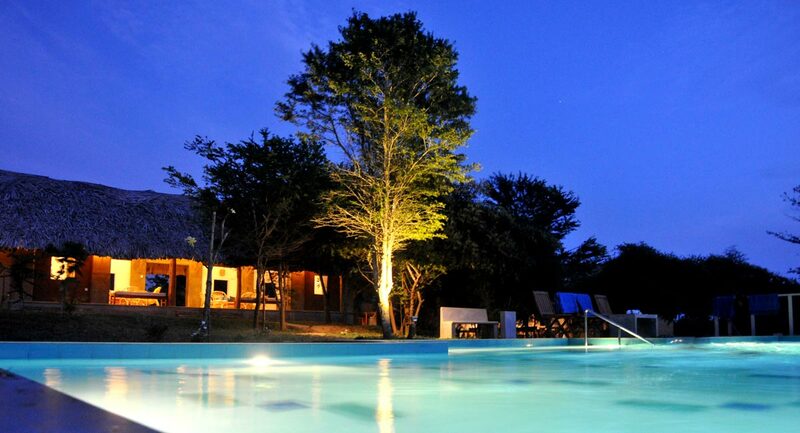 The swimming pool was just out of this world. The staff were friendly and very helpful. They had a wide variety of food to choose from. The fact that everything was so peaceful and quiet made it really enjoyable. We will definitely recommend this place and come back soon. Thank you all so much. 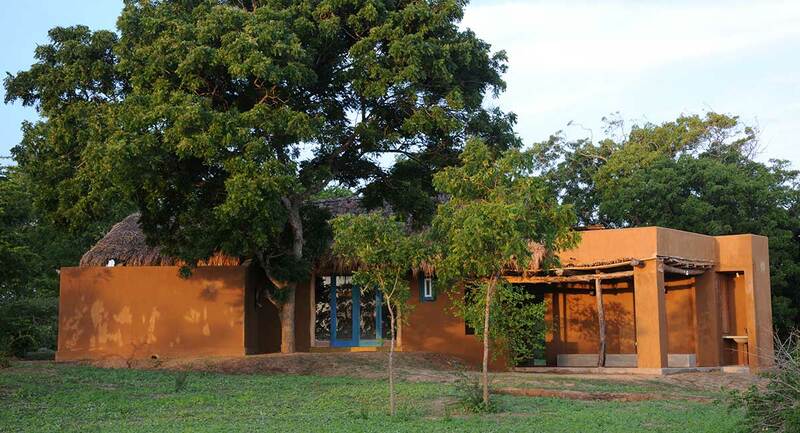 We thoroughly enjoyed spending 3 nights and 4 days at Kahandamodara. 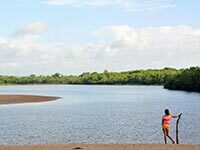 Having travelled extensively throughout the island, it was fabulous to spend time in this dry zone oasis. 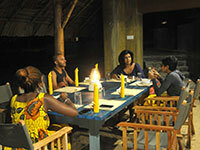 The superb staff led by Nelson and his helpers made us feel completely at home. 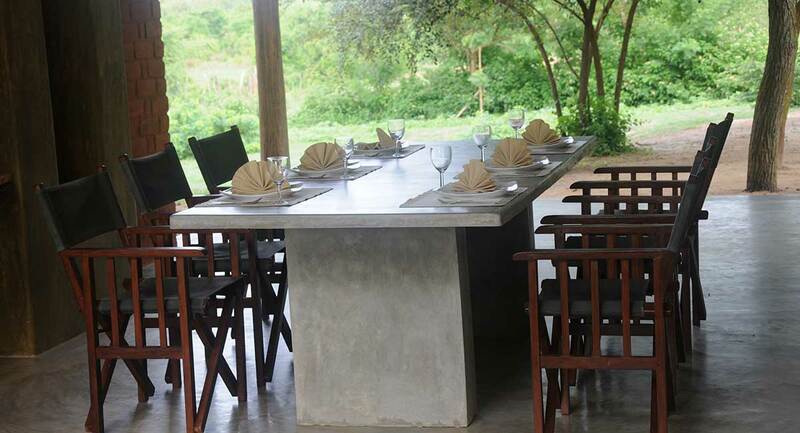 The food was fantastic: breakfast, lunch and dinner were expertly crafted using fresh ingredients from the garden. 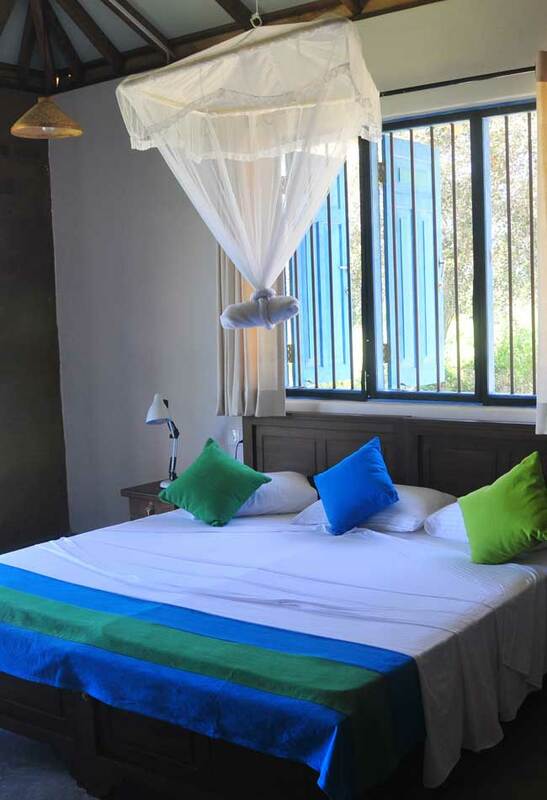 The rooms and facilities were comfortable with lovely touches (open air bathrooms, swings, attached balconies and lofts). 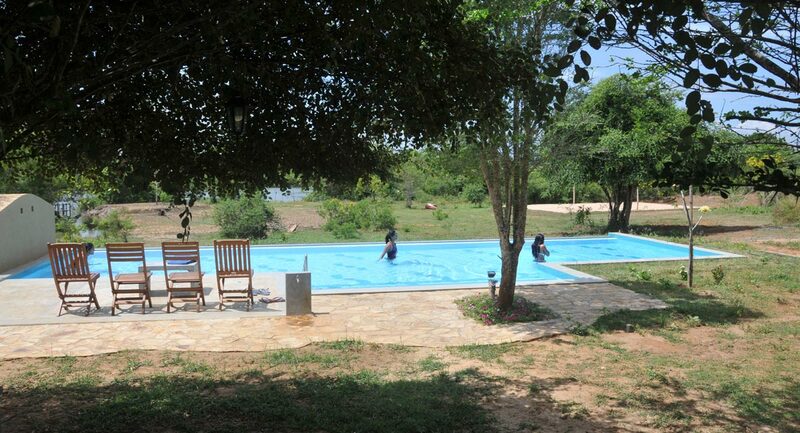 Having a pool in the premises was a godsend as one was able to cool themselves throughout the day and night. 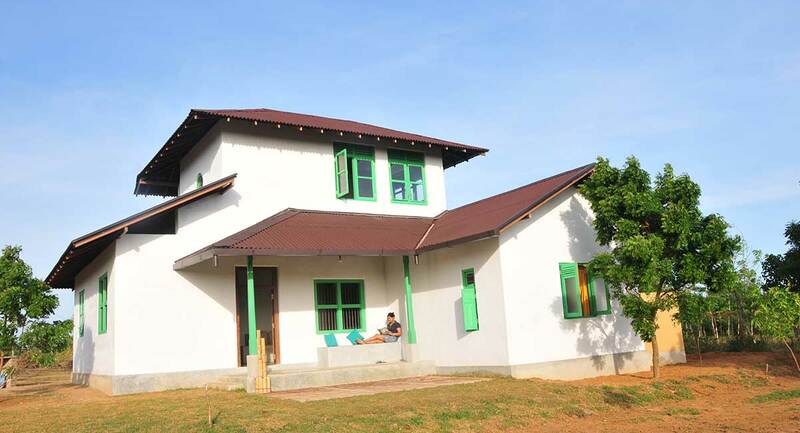 We would definitely recommend this bungalow complex to our friends and family. Anther tranquil gem in the BOB chain! Another set of caretakers with such warmth and true hospitality. Yohan, where do you find them all? Thanks for the great stay. 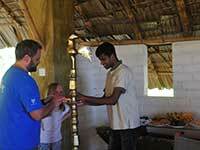 The care shown by Nelson & Mahesh (and Sandy too) makes such a difference. 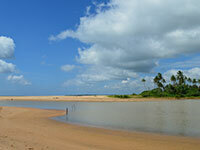 For our first visit to Sri Lanka we looked for a place beyond the touristic paths and found Kahadamodara. 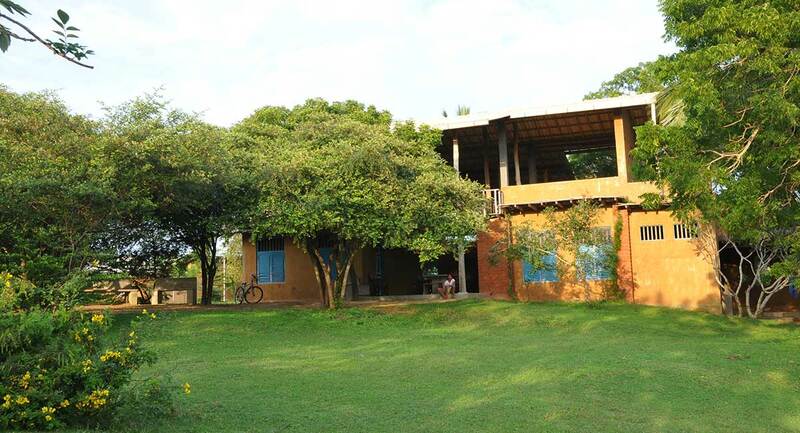 A peaceful place between jungle wildlife and a small farm. Everyday we experience new things. 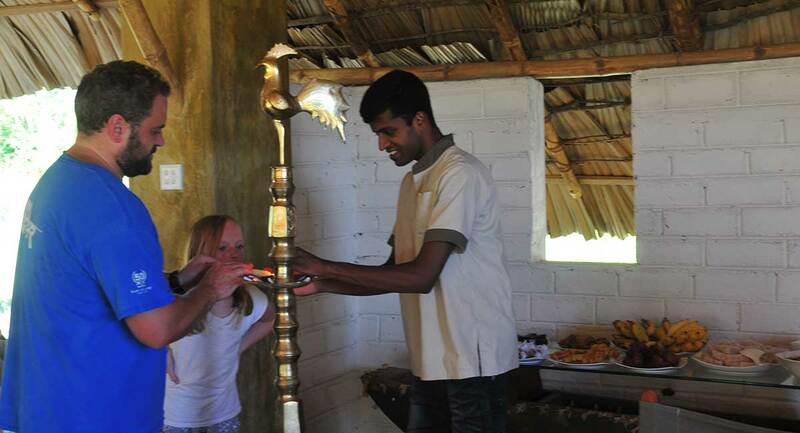 Thanks to Nelson we learned a lot about Sri Lankan food and fruits that was delicious and healthy. 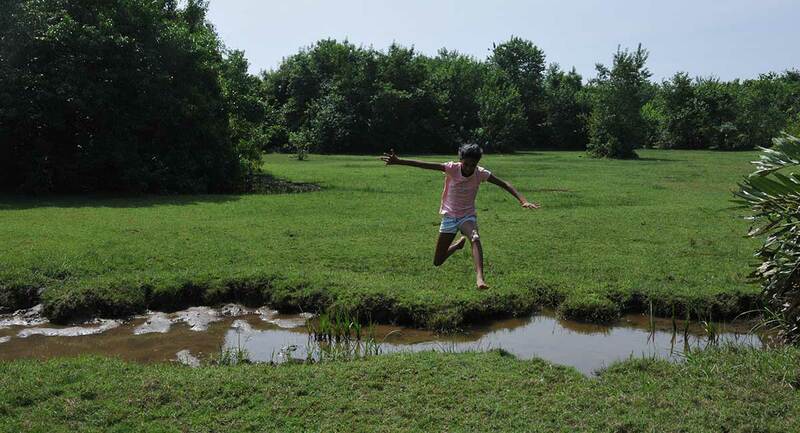 Nadeesh showed us the lotus ponds and the beach. 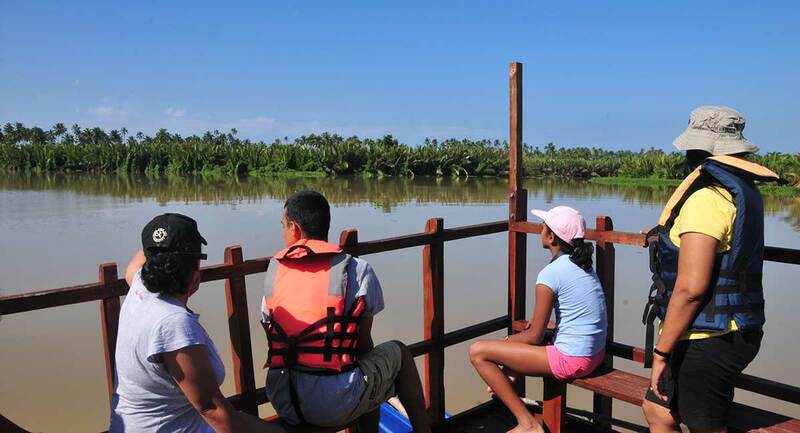 We loved the boat trip to the lagoon with the lady monkey and the baby. 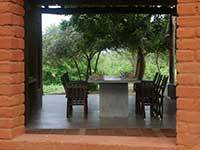 We sat hours in the verandah to watch birds, iguanas, the peacocks and the water buffalo bathing in his plunge. We take a lot of memories and pictures home. Thank you everyone for a wonderful and peaceful time. 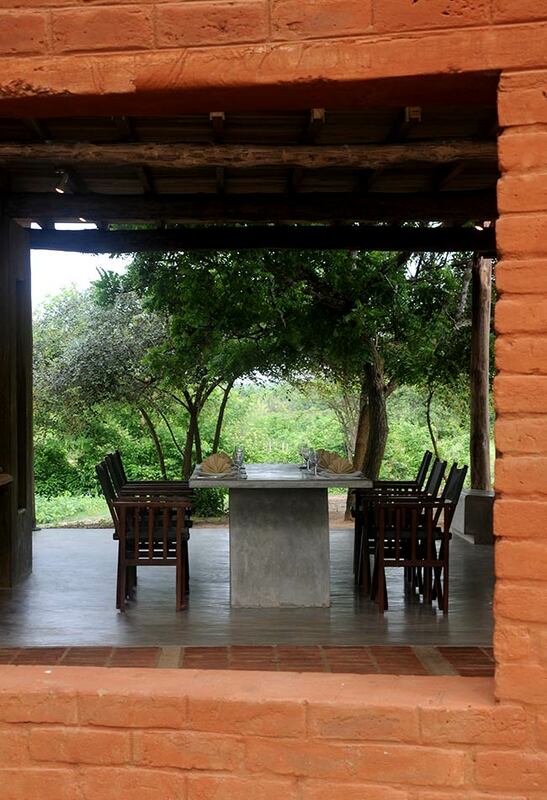 We have loved everything about Back of Beyond Kahandamodara. The bungalow, shower shared with birds, the sound of the ocean whilst having our meals served to us in our own terrace, Nelson’s wonderful cooking and Mahesh’s quiet and polite attention. Our visit to watch the turtles was amazing. Thank you so much. Our group included 3 families with kids of various ages. They all had a wonderful time. 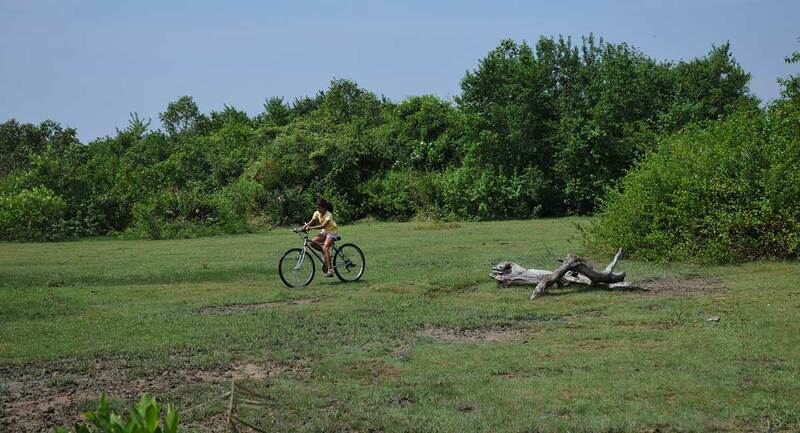 The spaces to run around, the swing, bicycle rides, boat rides, and the beach was enjoyed by all, big and small. This is our second trip to Kahandamodara. 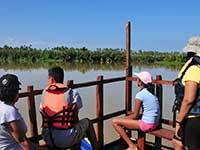 The kids and I treasured our previous stay and this time it is more memorable than the previous stay. 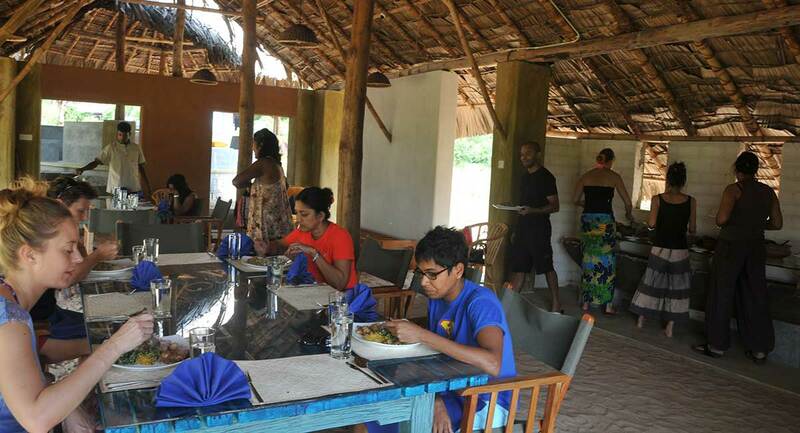 The kids cycled all the way to the beach and got caught to the rain and were saved by the good staff Nelson, Mahesh etc. It appears we are hooked on to this place and seem to be having a greater time than the previous visit. 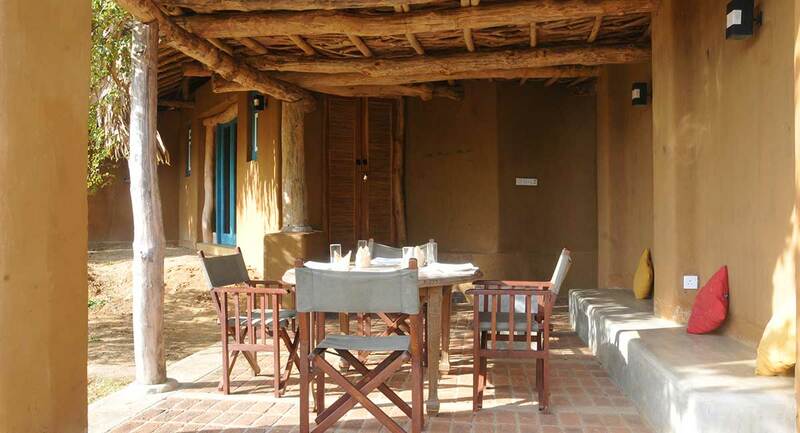 The food is excellent, and the place is so peaceful and relaxing. We hope we will make this an annual ritual each year. Thanks for the splendid time. 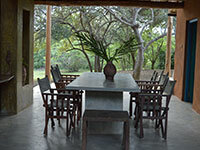 We have just had 4 wonderful days here at Back of Beyond. 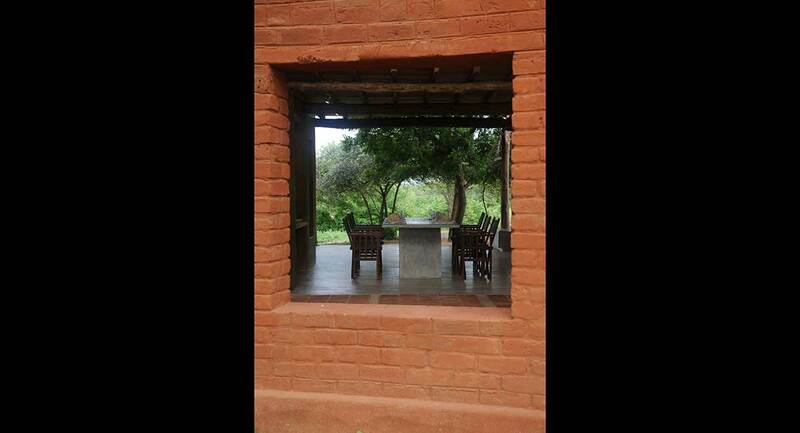 Like so many guests before us we fell in love with the serene surroundings, earthy architecture and out of this world hospitality. 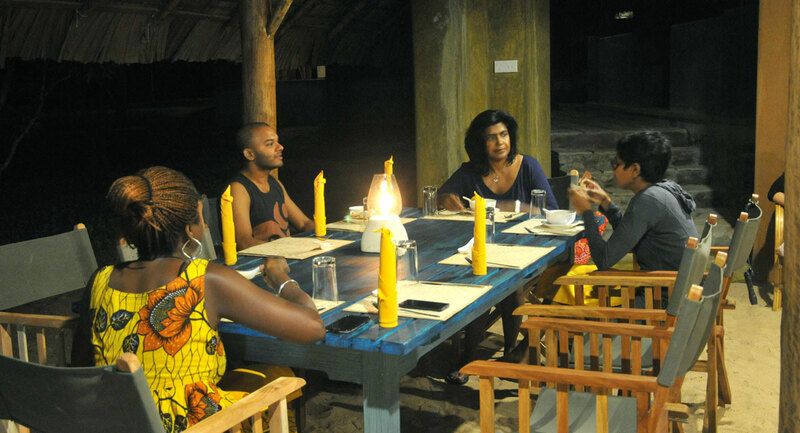 Nelson and Mahesh took excellent care of us and ensured that we were well fed on some of the finest Sri Lankan cuisine that we have experienced. 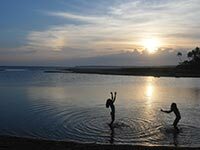 Of course there was not enough time to see all the places and in the end we most enjoyed just being here! A personal highlight for me was an early morning view of the mountains including Suriya Kanda and distinct profile of Sri Pada. 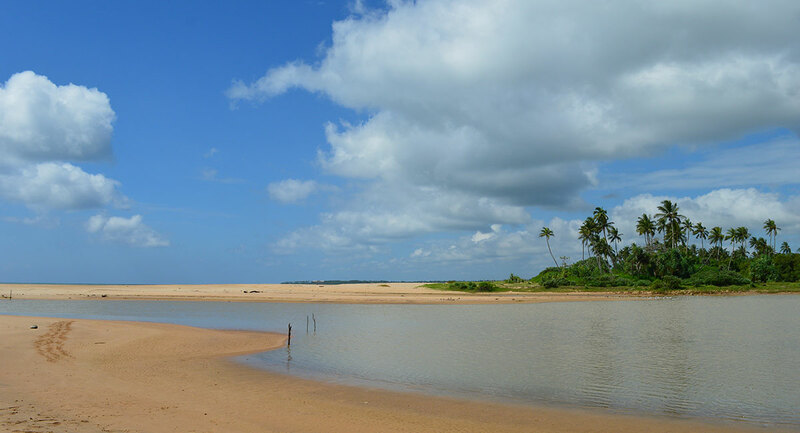 The lagoon offers an amazing panorama of the quintessential Sri Lankan landscape. We're already looking forward to our next visit. 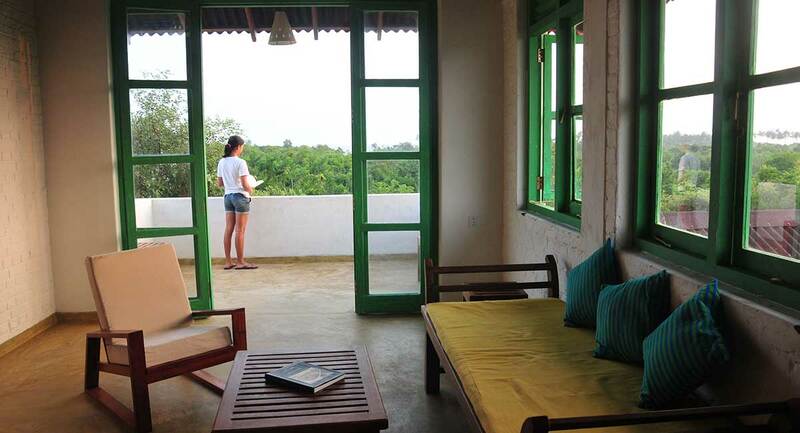 Our one week experience at "Back of Beyond" was one of the best we had abroad so far. 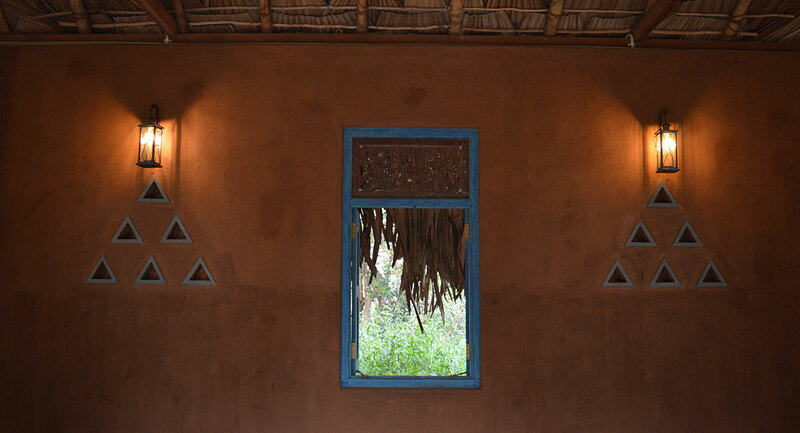 The simple beauty of the place allowed us to relax and explore the site and it's environment. Having said that, the place wouldn't be what it is without Nelson, Mahesh, Ashoka etc. The staff was absolutely wonderful, we could not expect more between fantastic food (Nelson you are a true CHEF!! 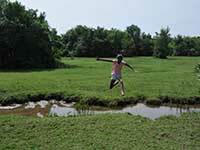 ), milking buffaloes, catching frogs and fish, (Mahesh thanks for the time) or get honey from the bee stock. City slickers get turned around. Thank you so much. Thank you so much for a lovely holiday! We loved all the peacocks, the boat trip, the lanterns at night, and the delicious food. 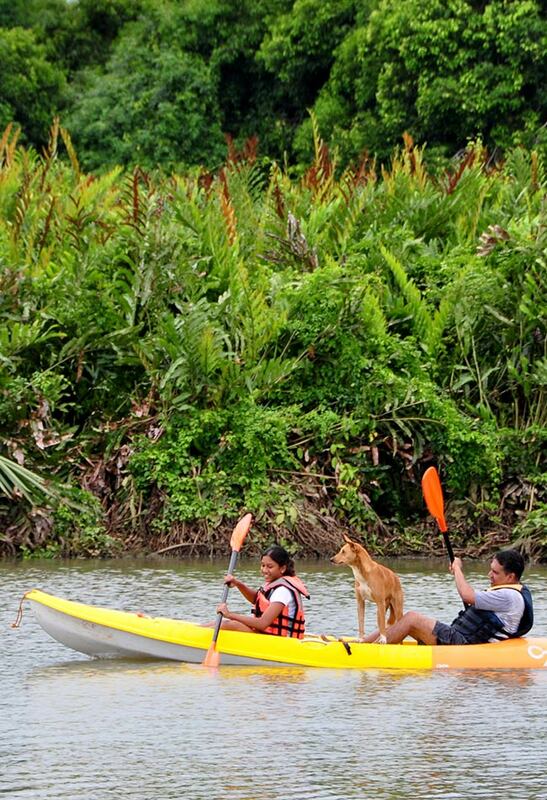 Relaxing and adventurous at the same time! 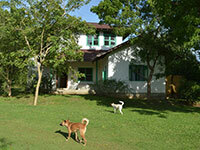 The staff was excellent – very caring and knowledgeable. We will be back. Sadly, we only got to stay for one day. Enjoyed the ride to the beach, the excellent food and the fantastic service. 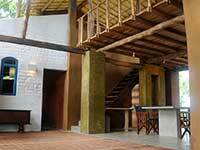 Probably one of the most beautifully designed places we’ve stayed in. Look forward to coming here for a longer stay.